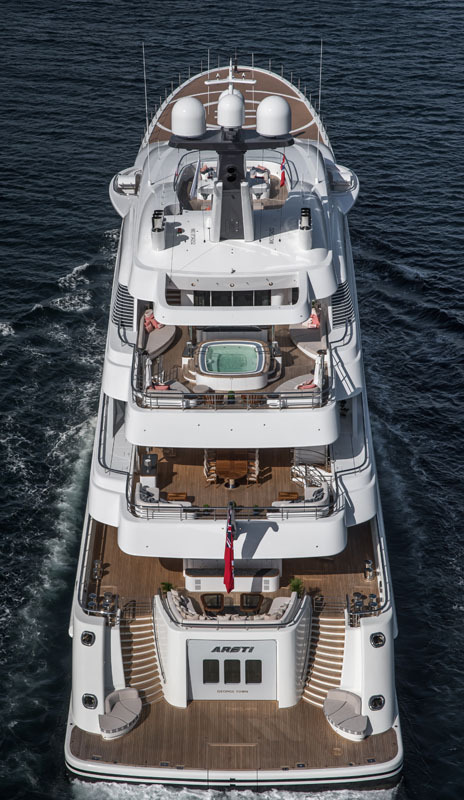 Seen at this year’s Fort Lauderdale International Boat Show, Lürssen’s latest superyacht brings beachy-chic with you wherever you go. 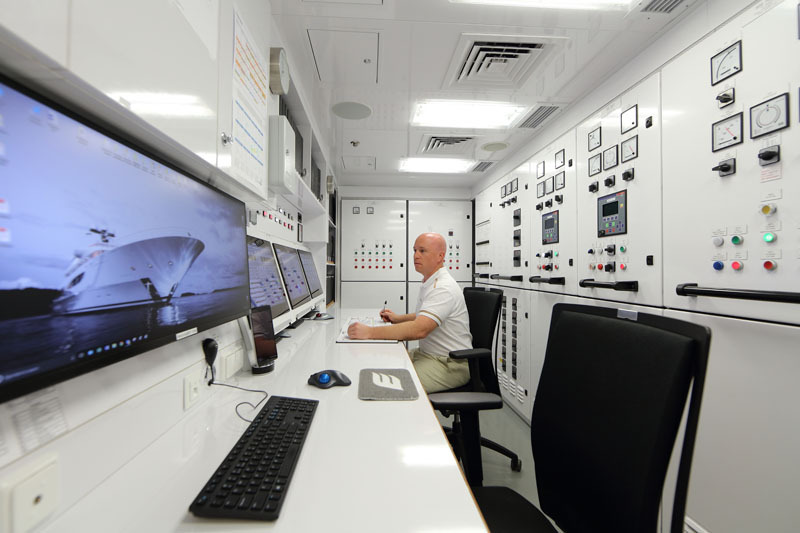 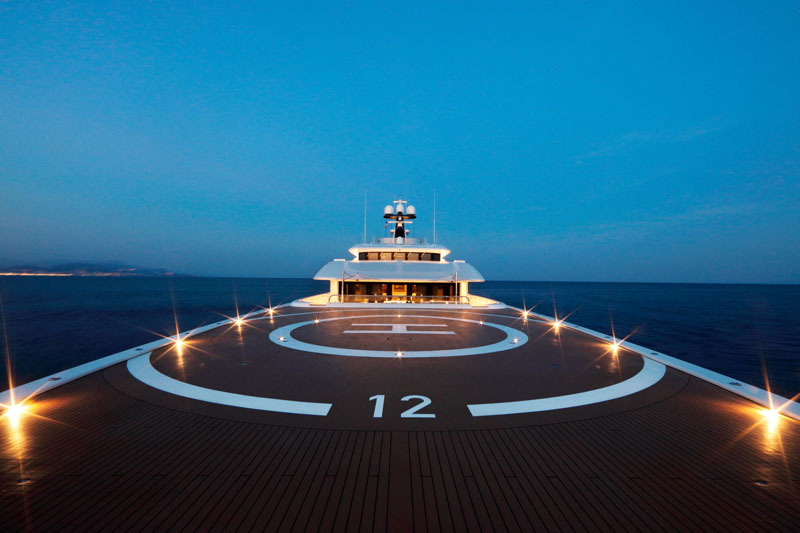 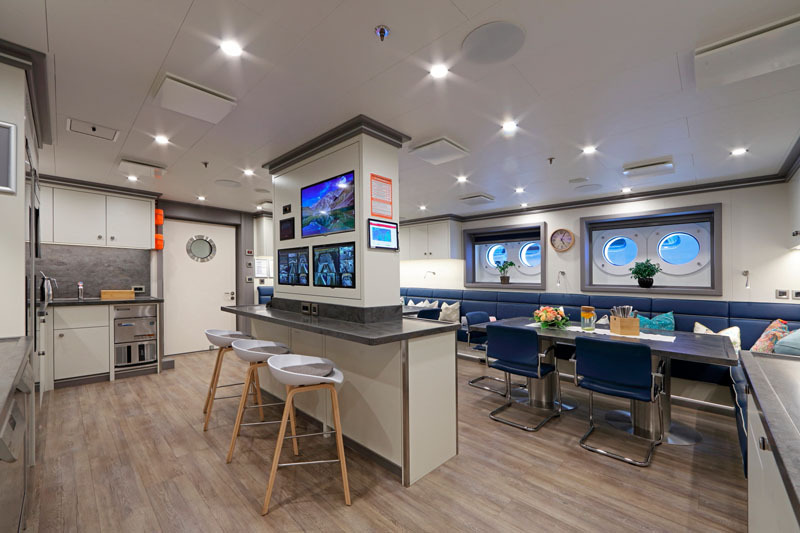 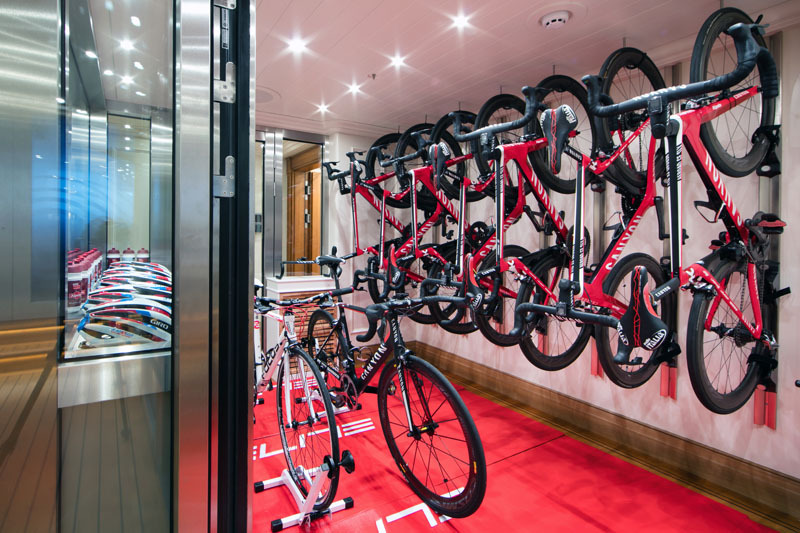 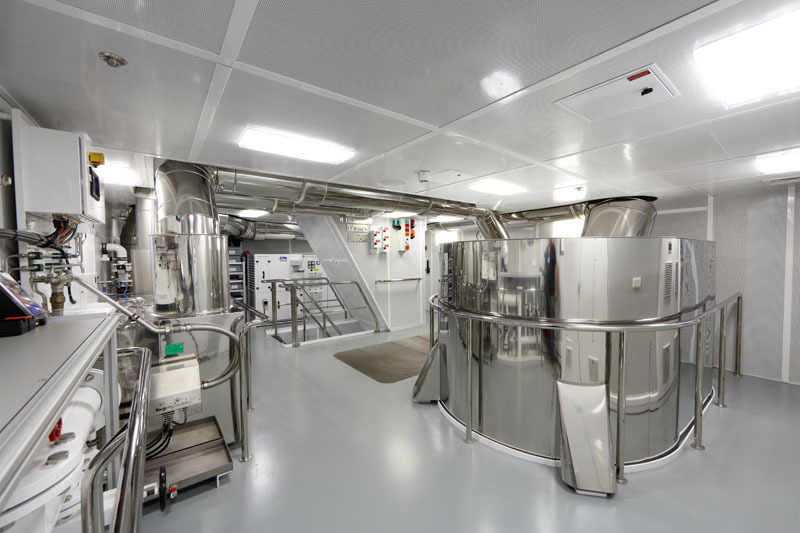 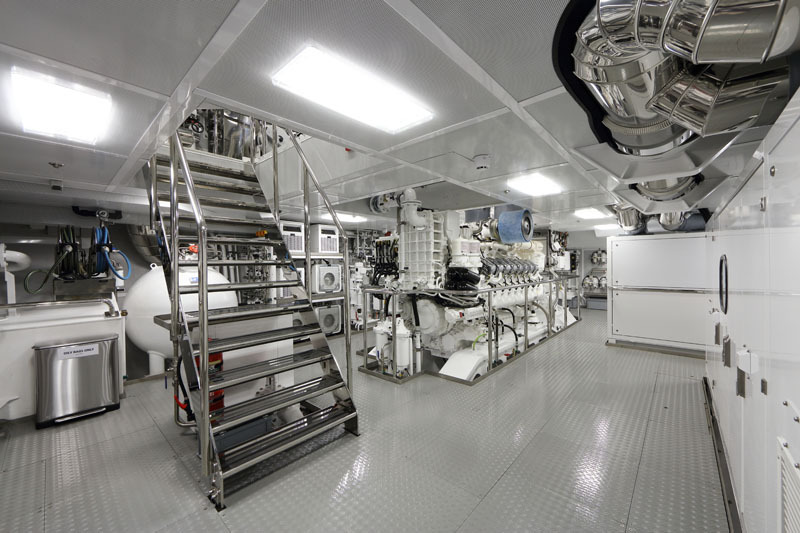 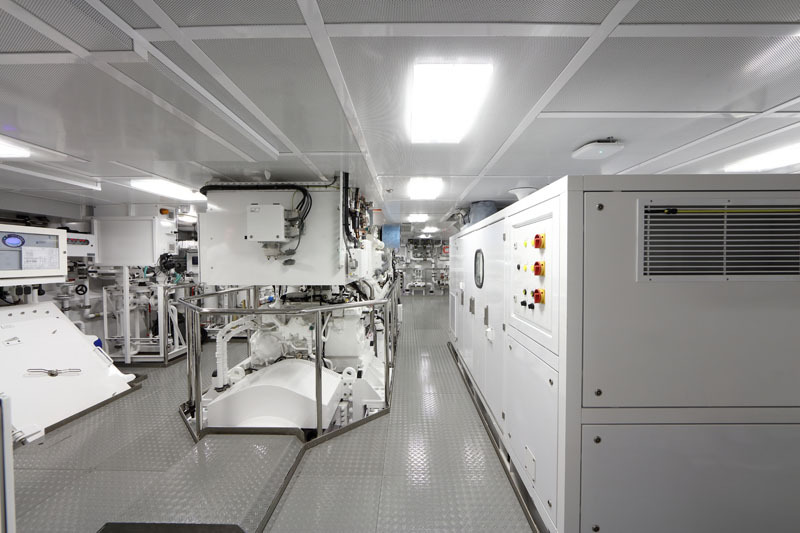 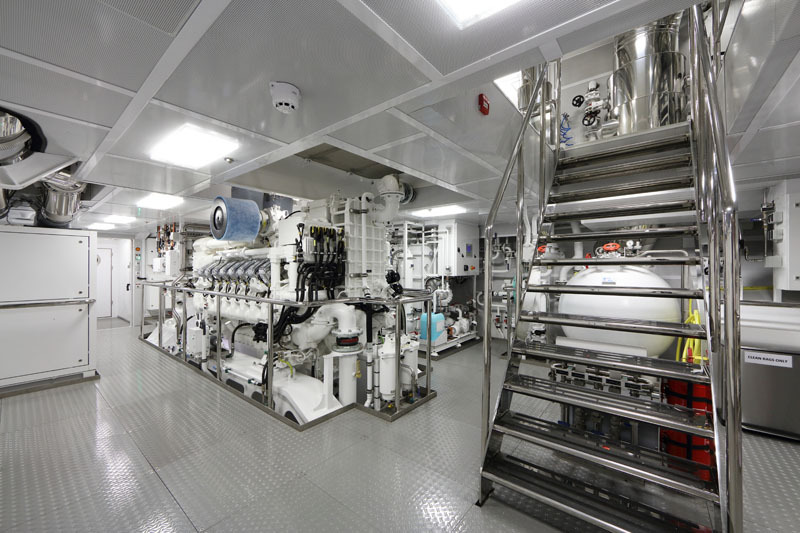 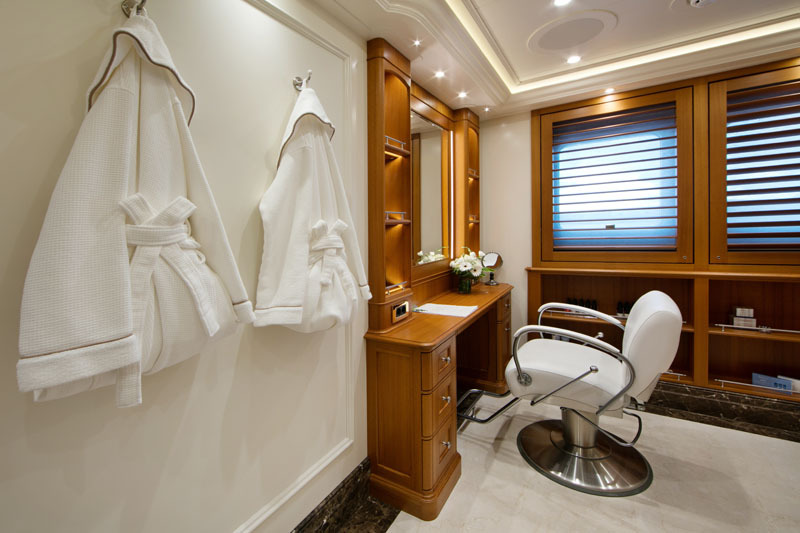 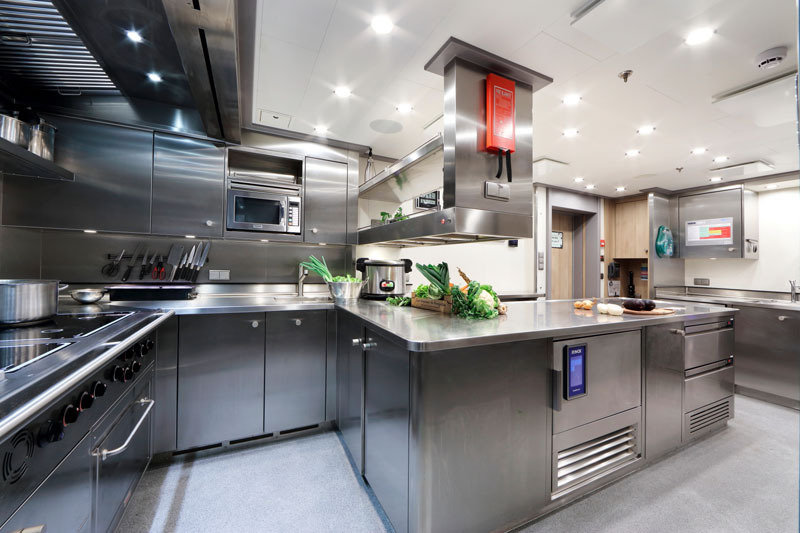 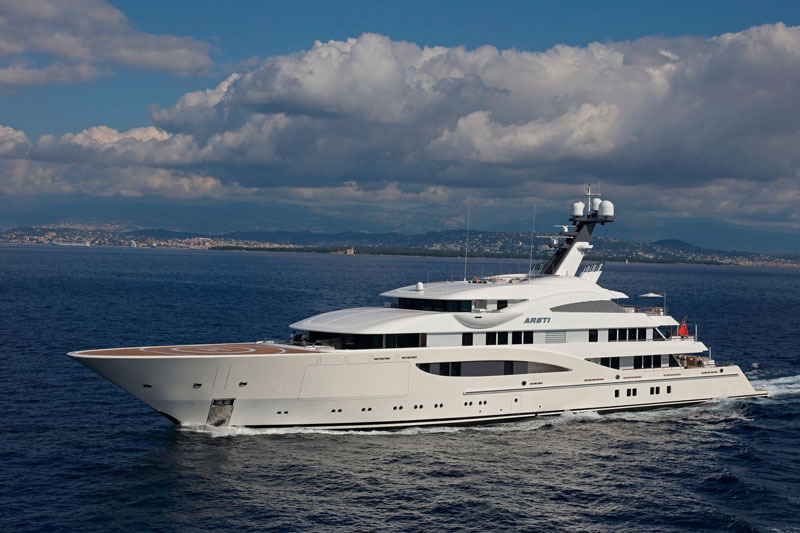 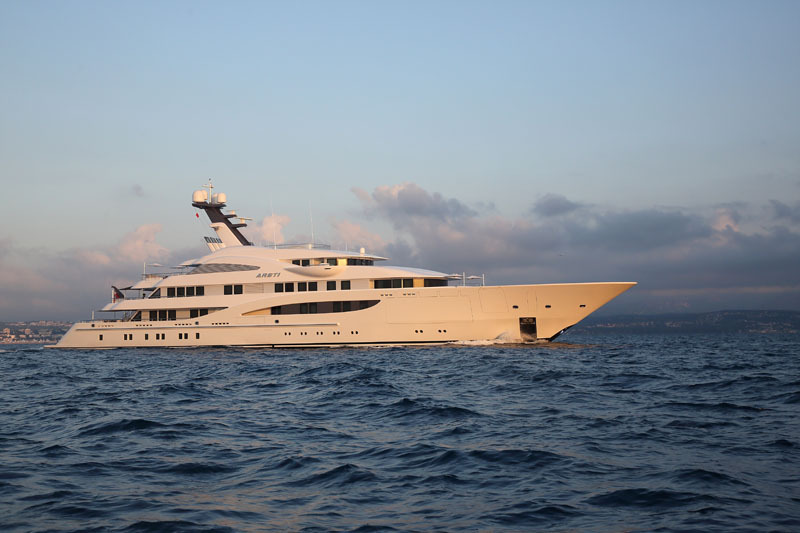 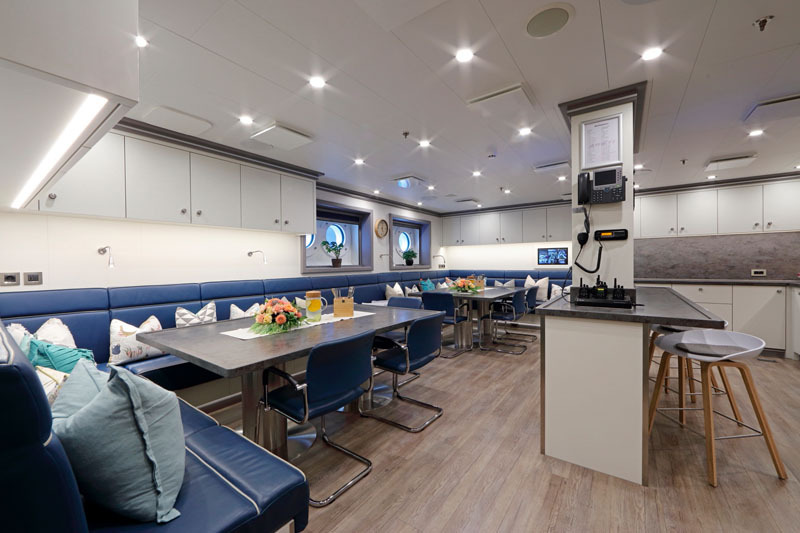 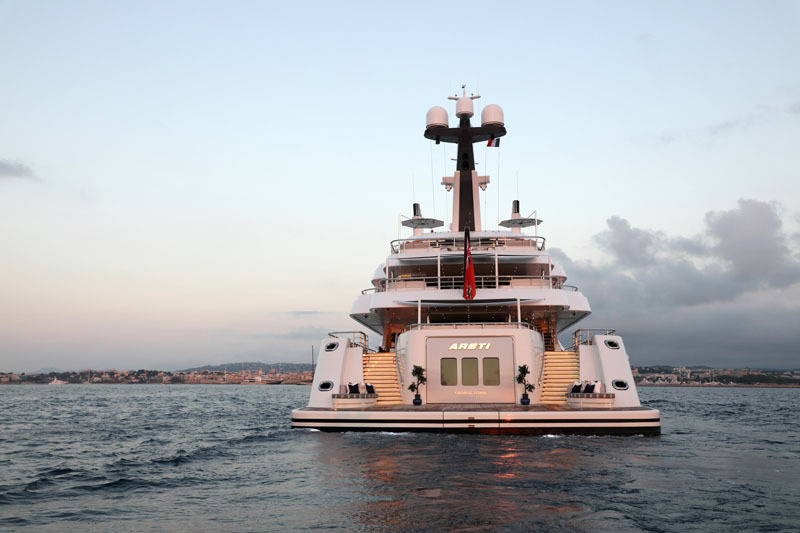 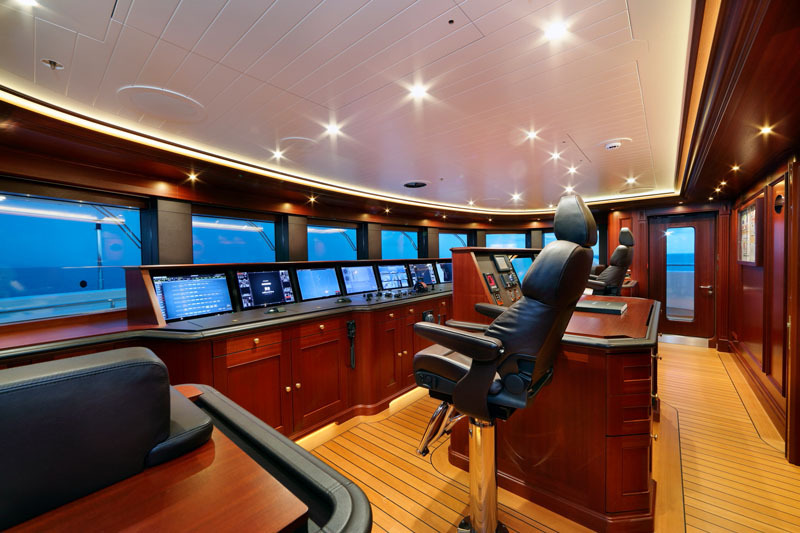 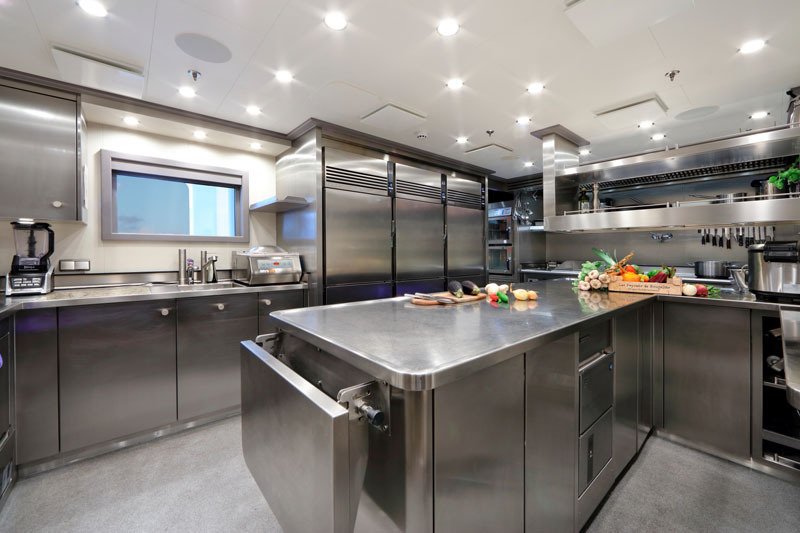 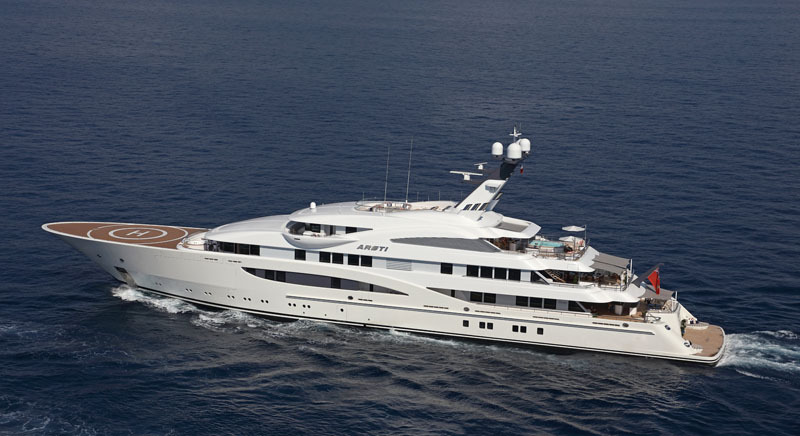 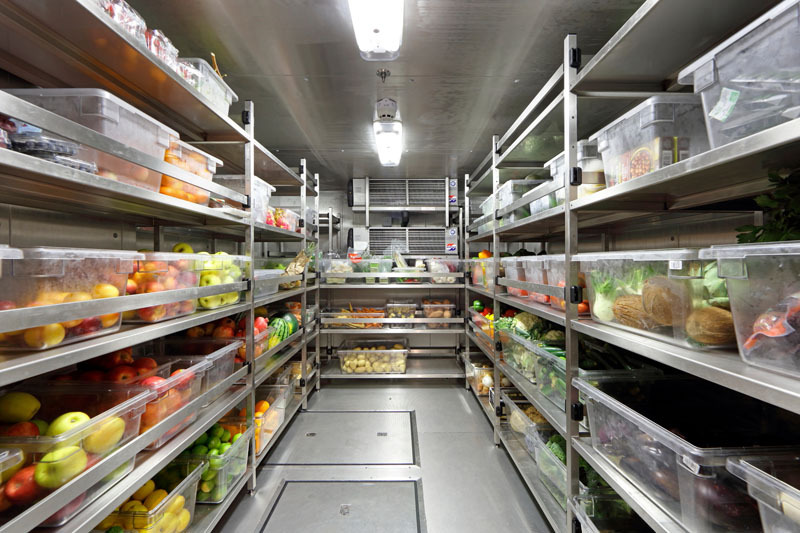 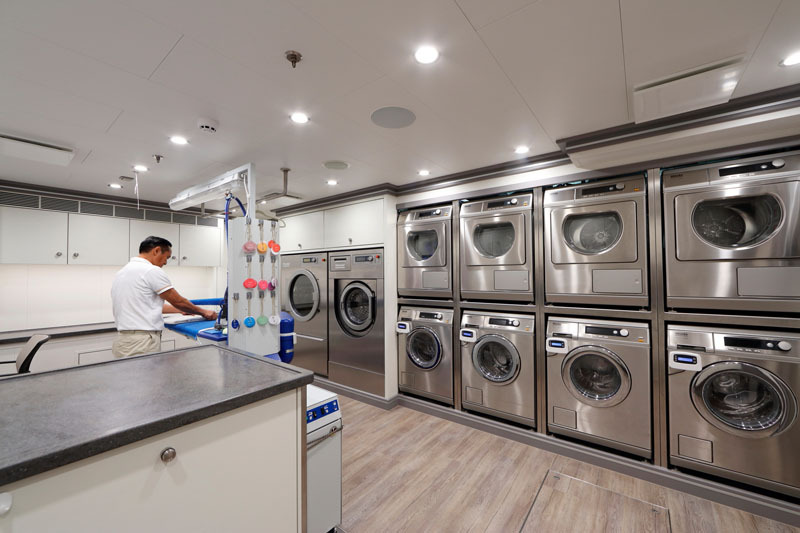 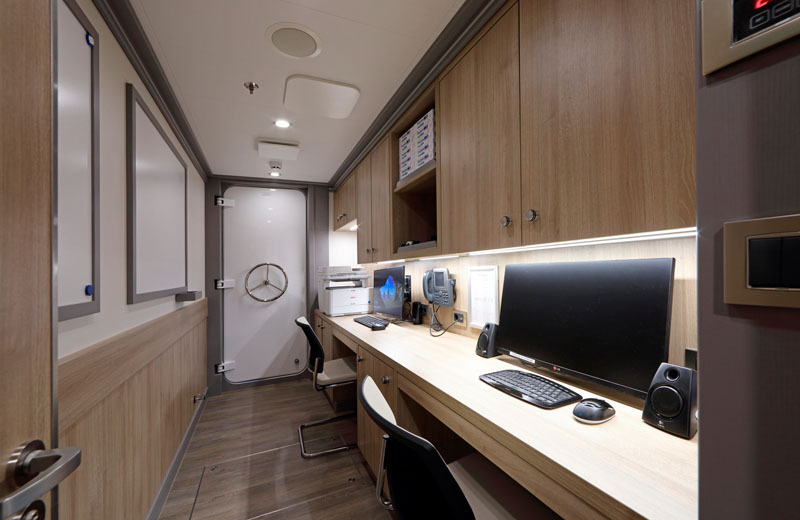 Areti accommodates 18 guests in nine cabins and 27 crew members. 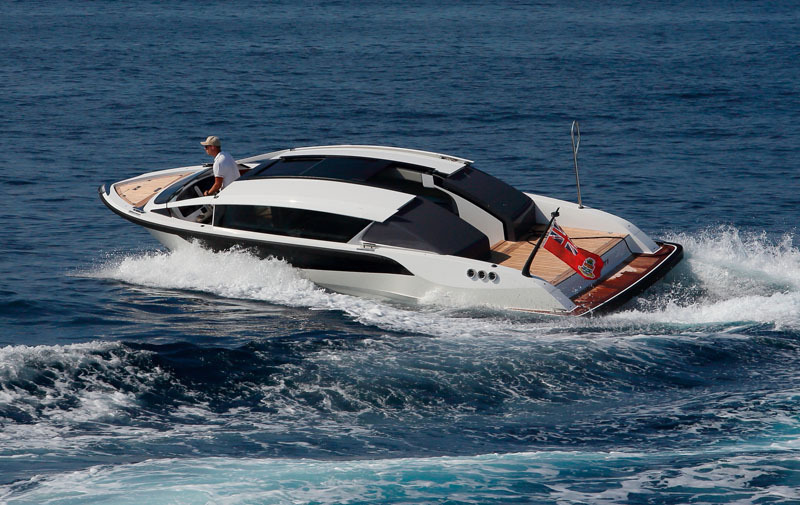 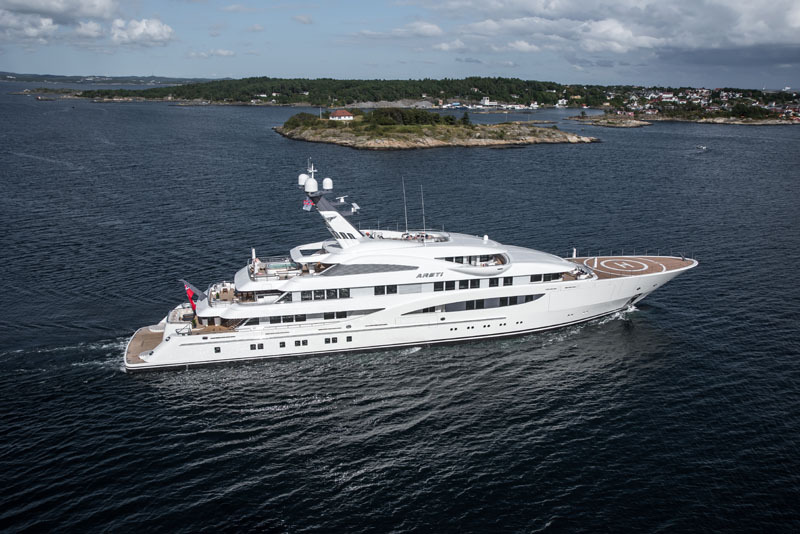 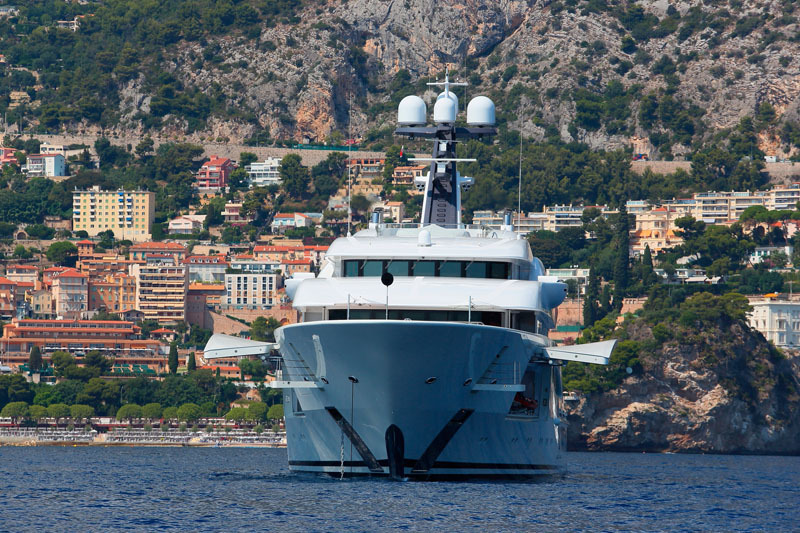 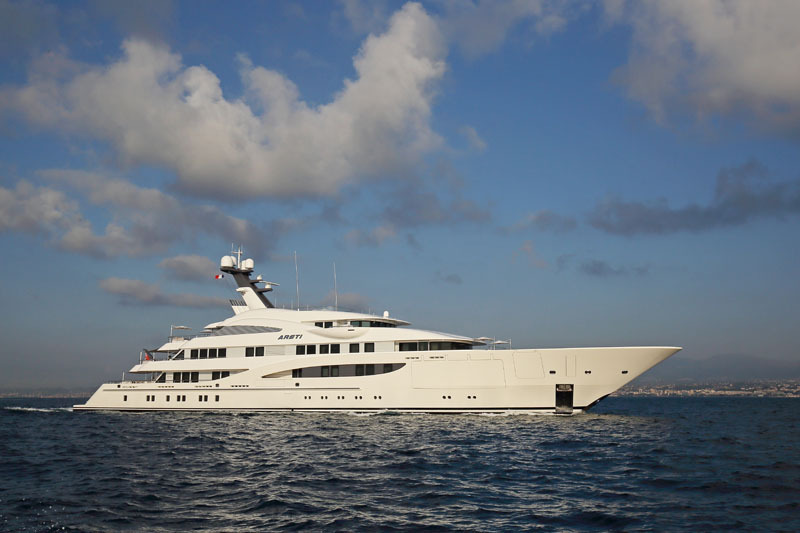 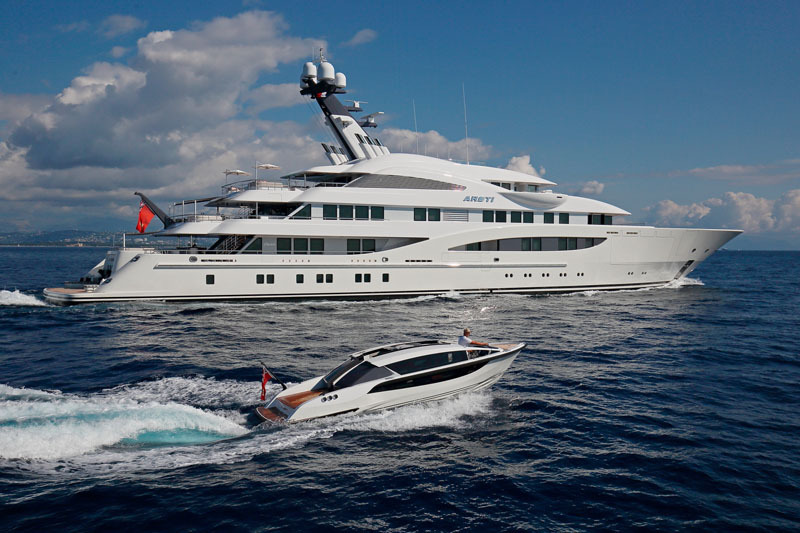 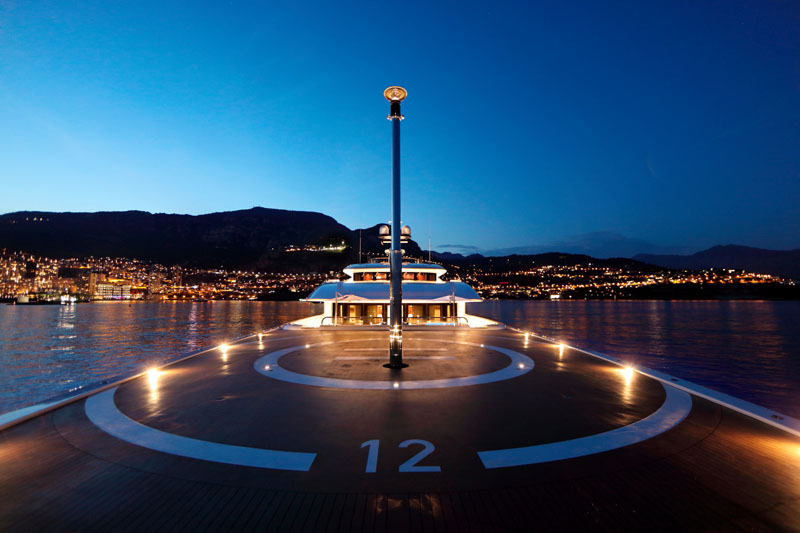 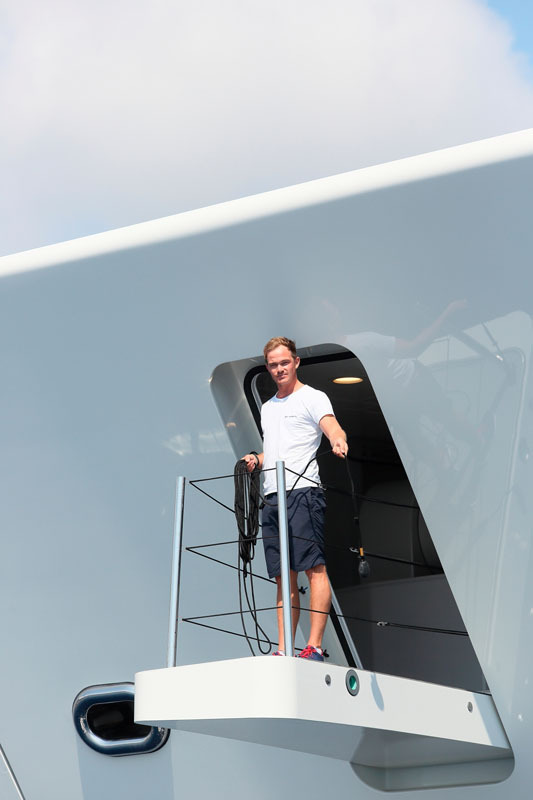 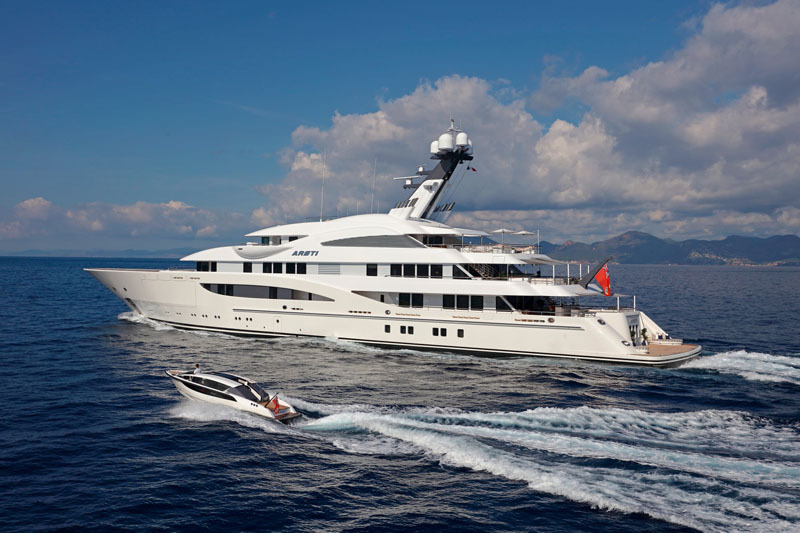 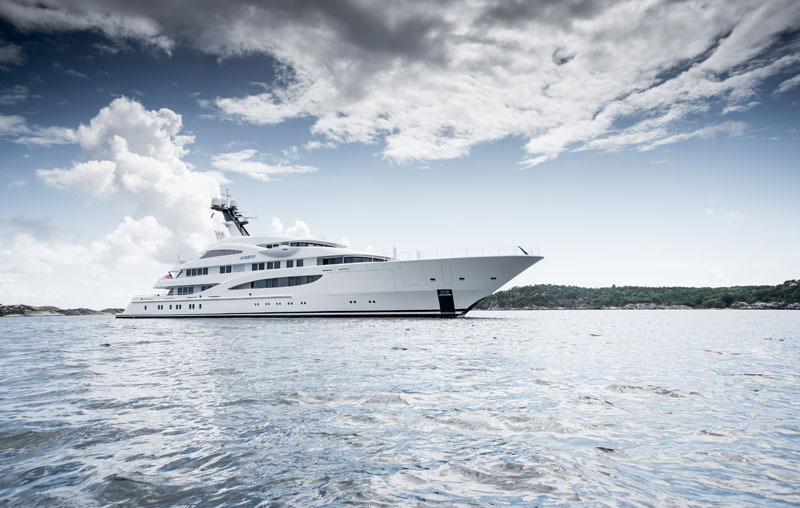 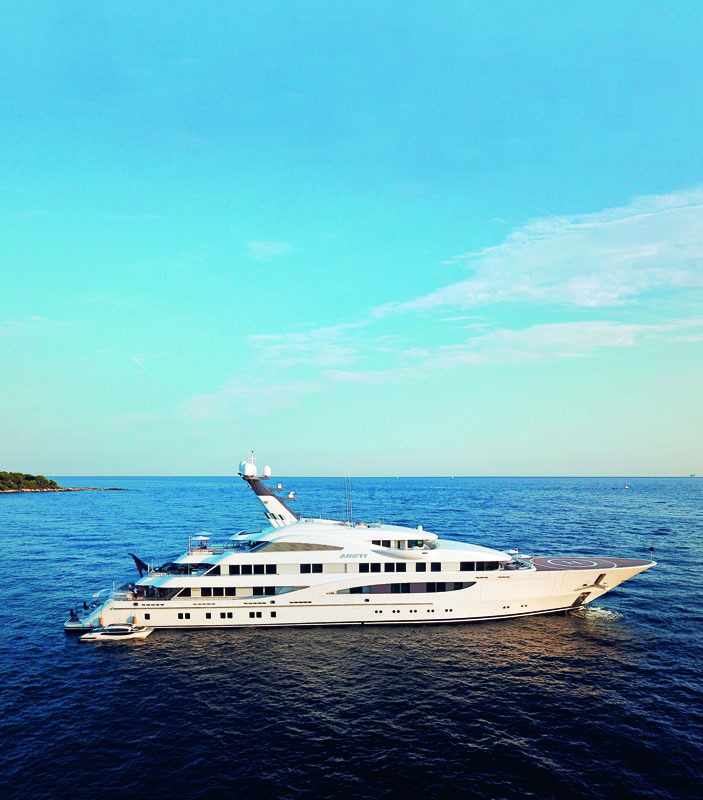 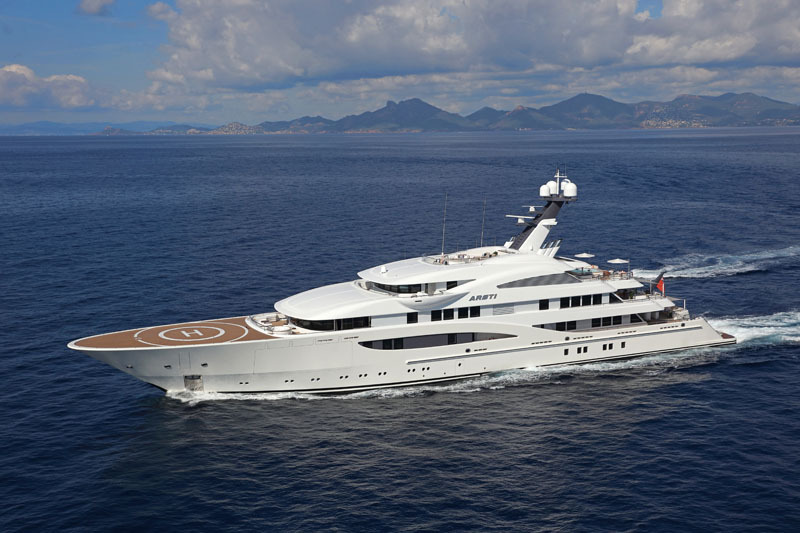 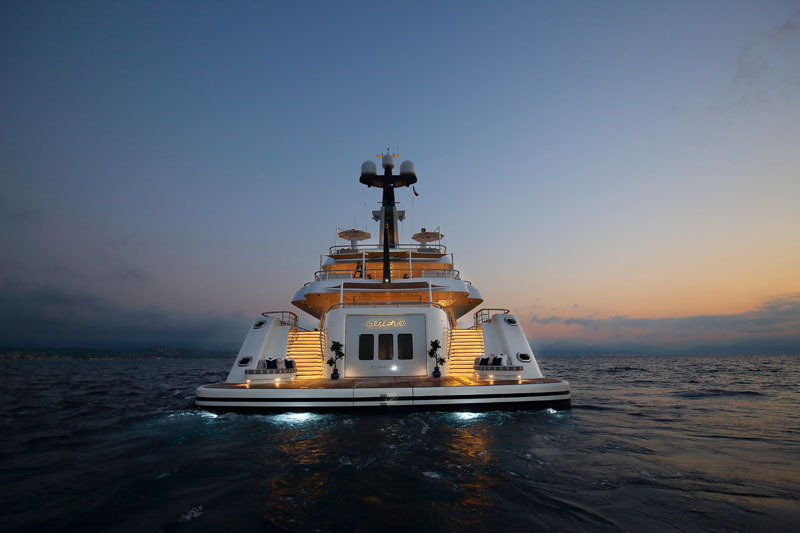 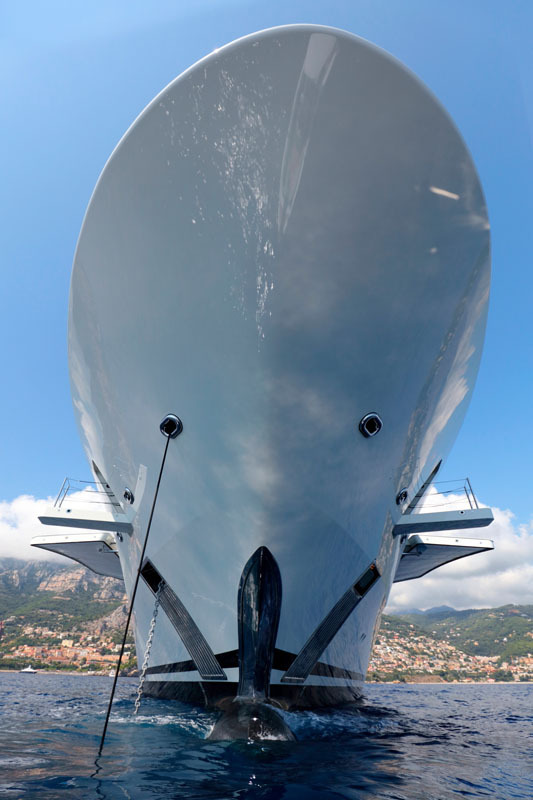 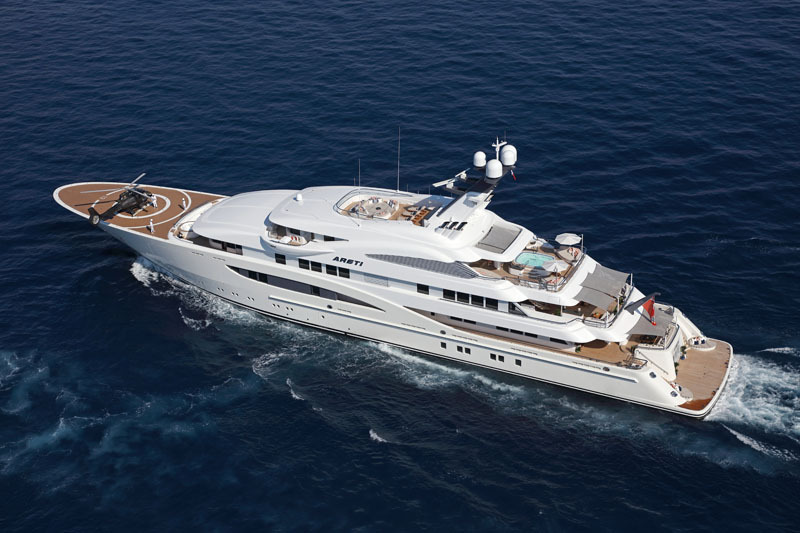 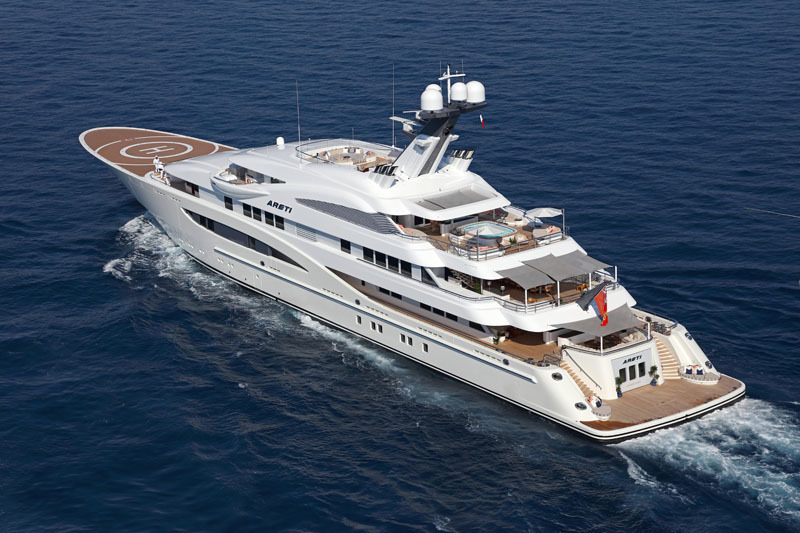 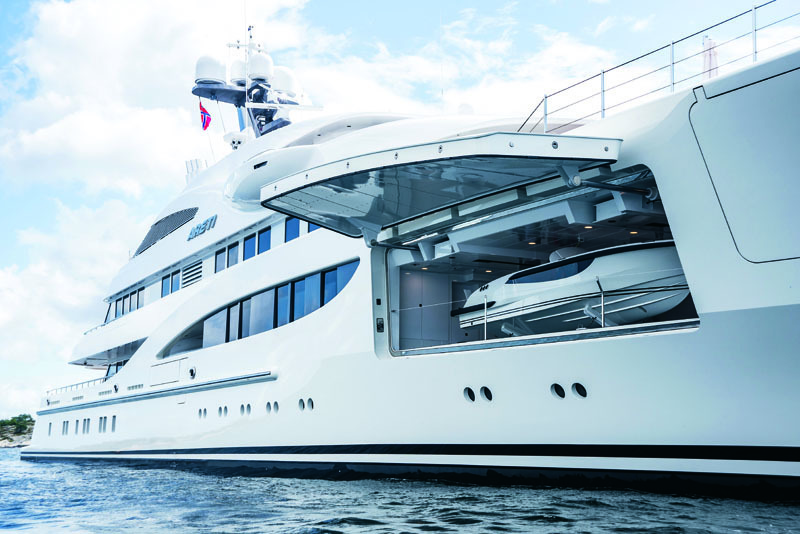 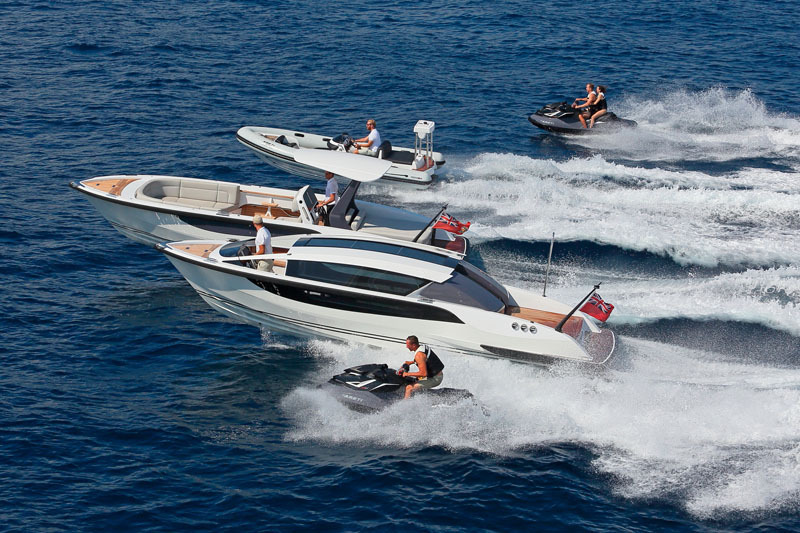 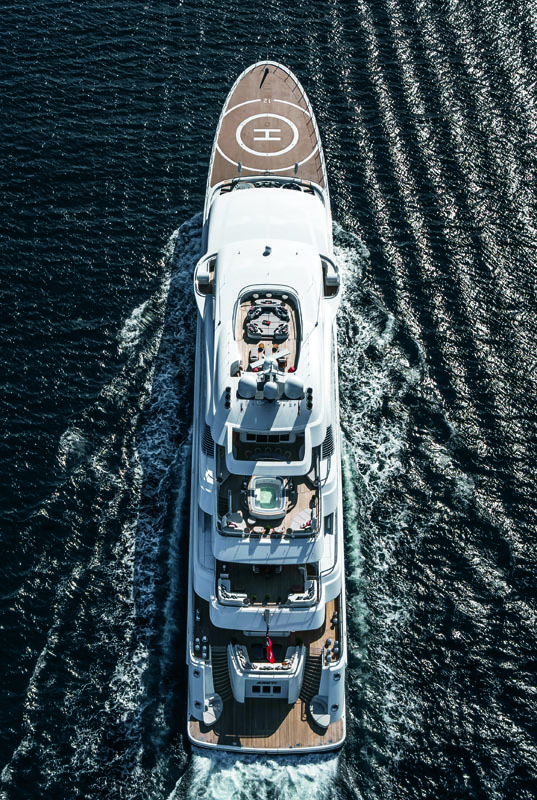 Powered by MTU engines that give her a maximum speed of 17 knots, the superyacht can comfortably cruise at 15 knots. 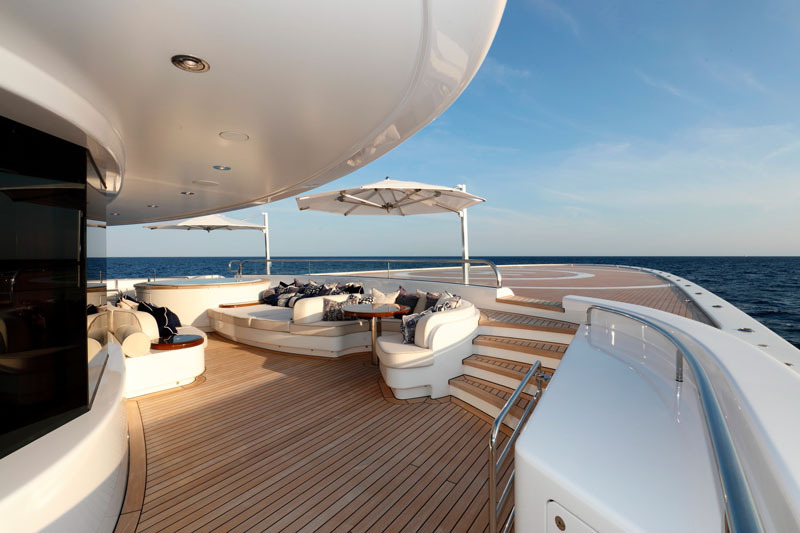 The maximum range is about 6,000 nautical miles at 12 knots. 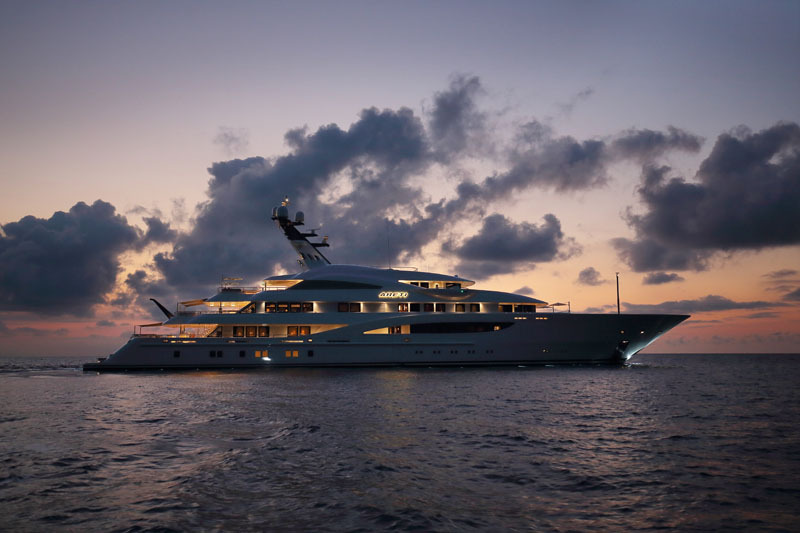 Her foundation is made up of aluminum superstructure and a steel hull. 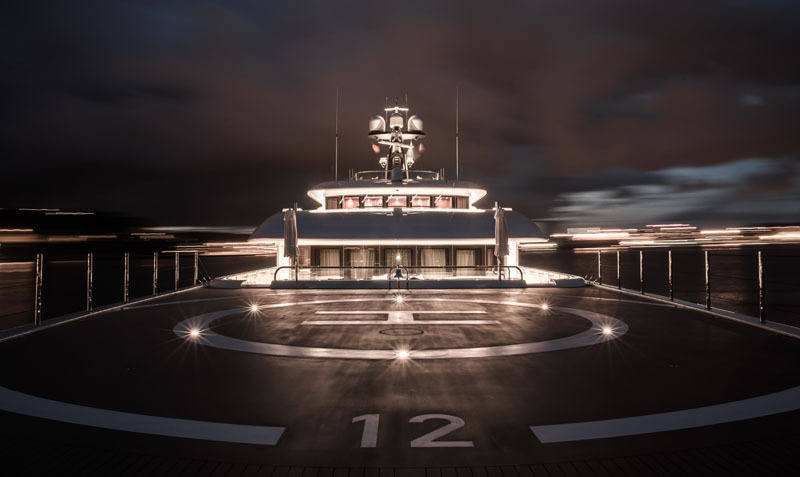 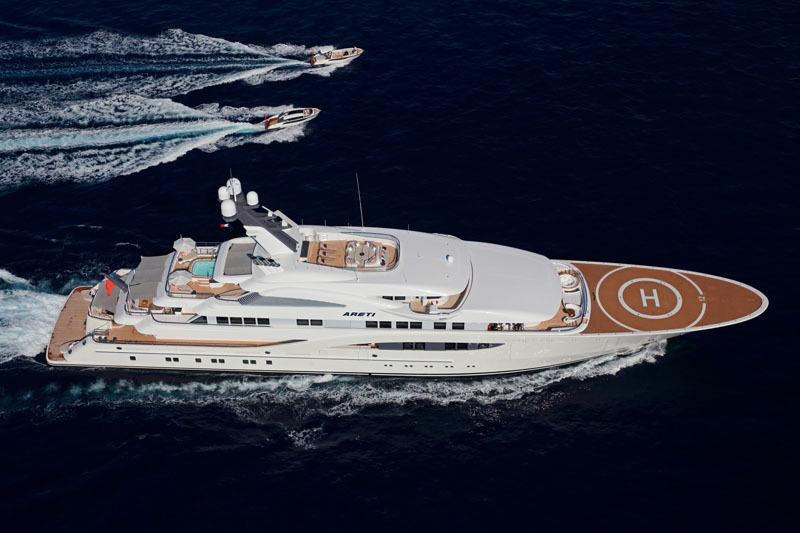 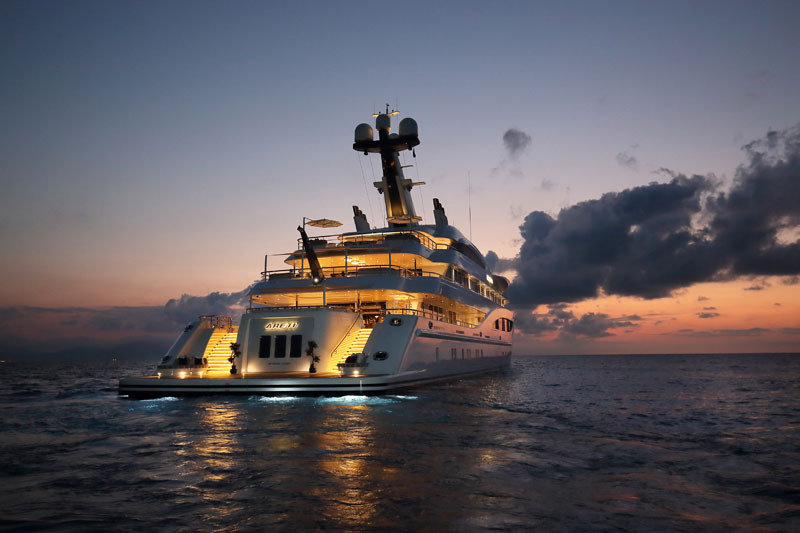 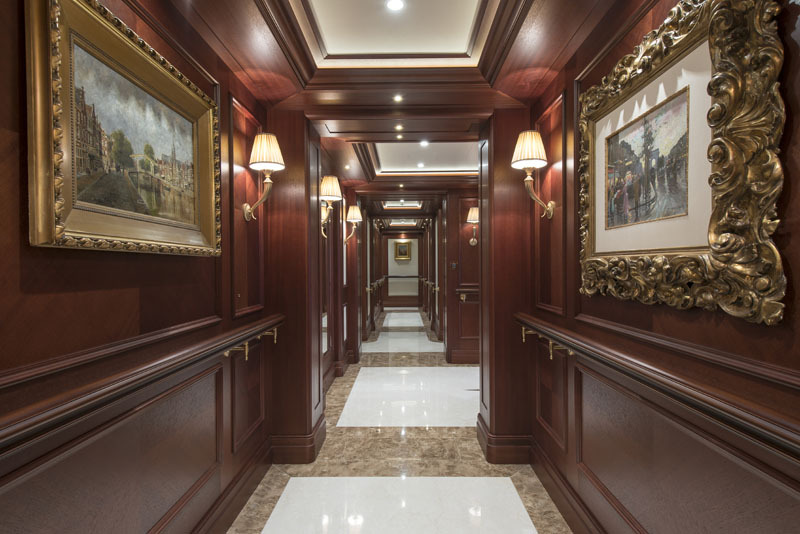 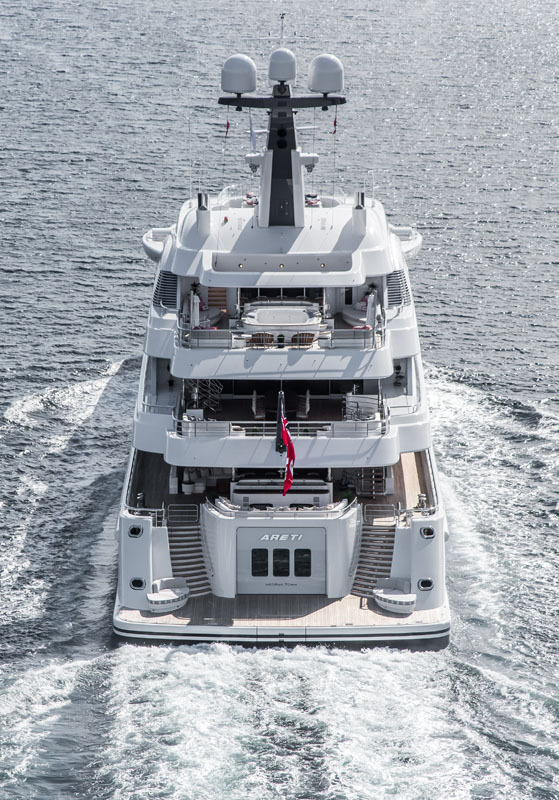 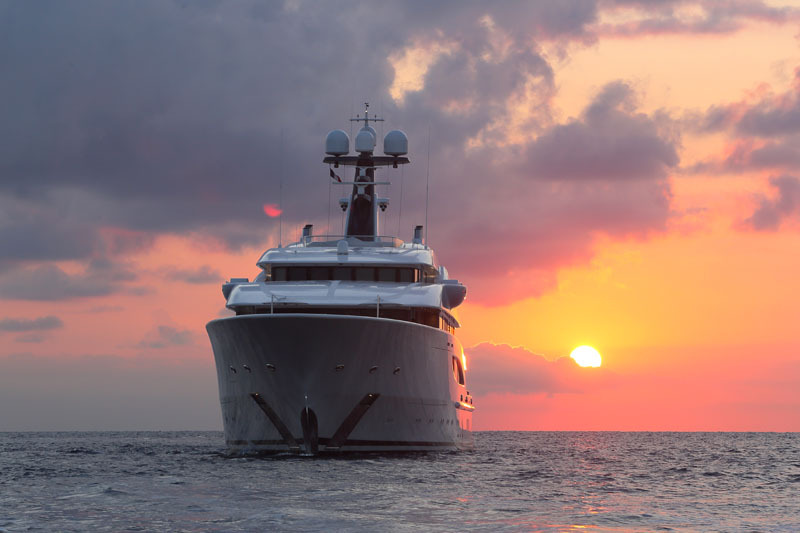 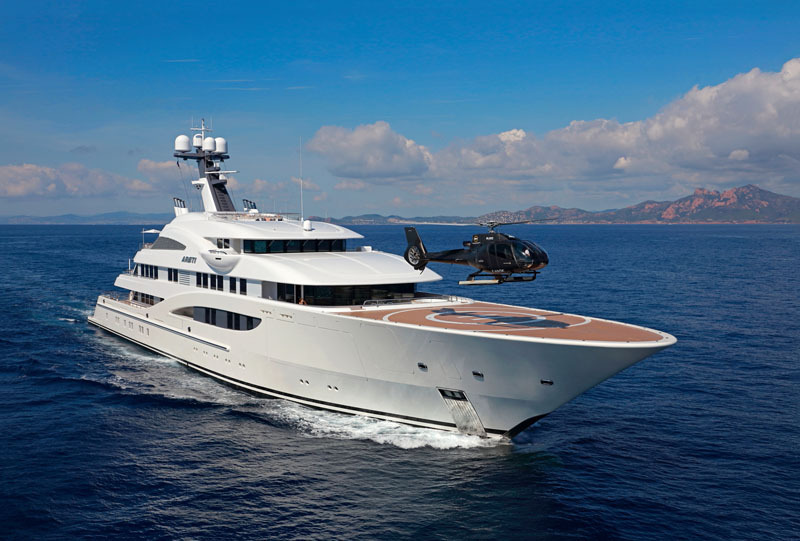 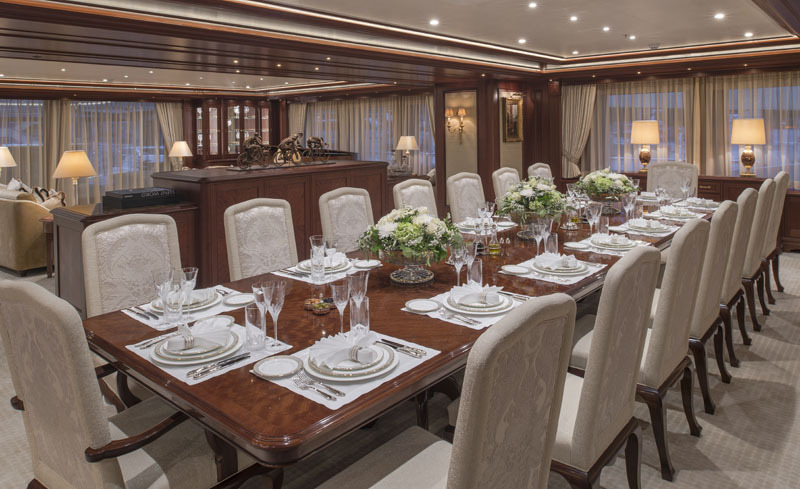 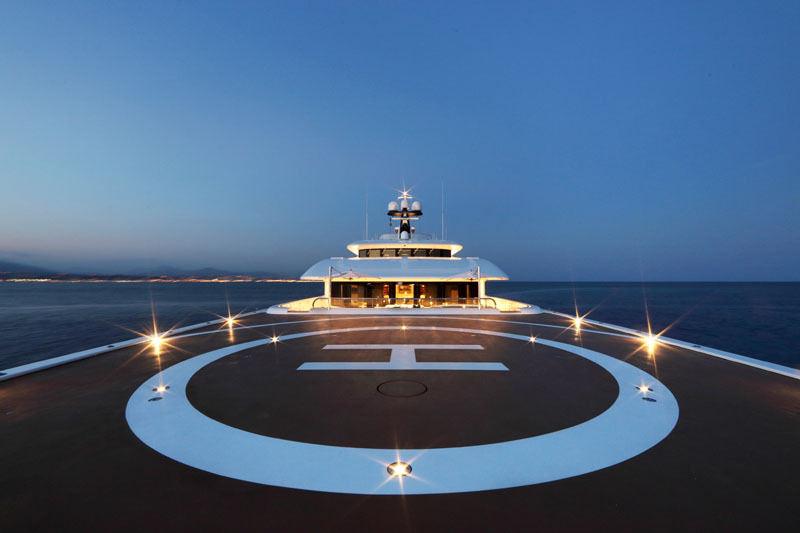 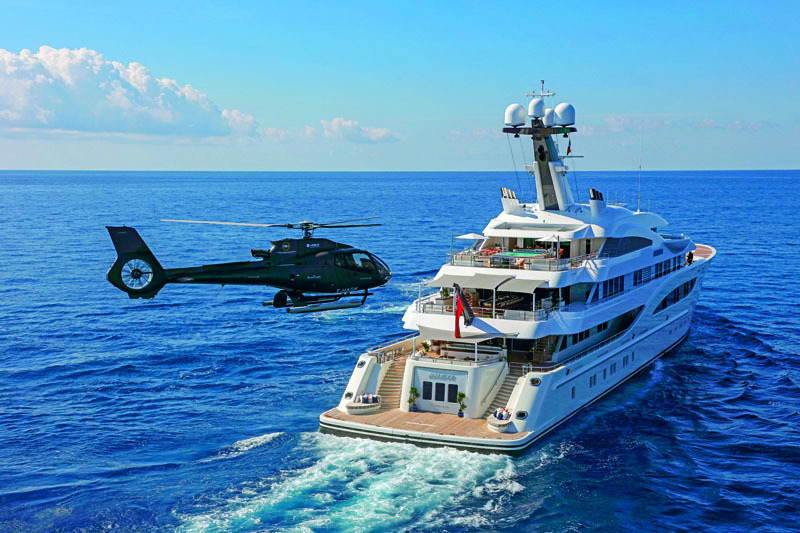 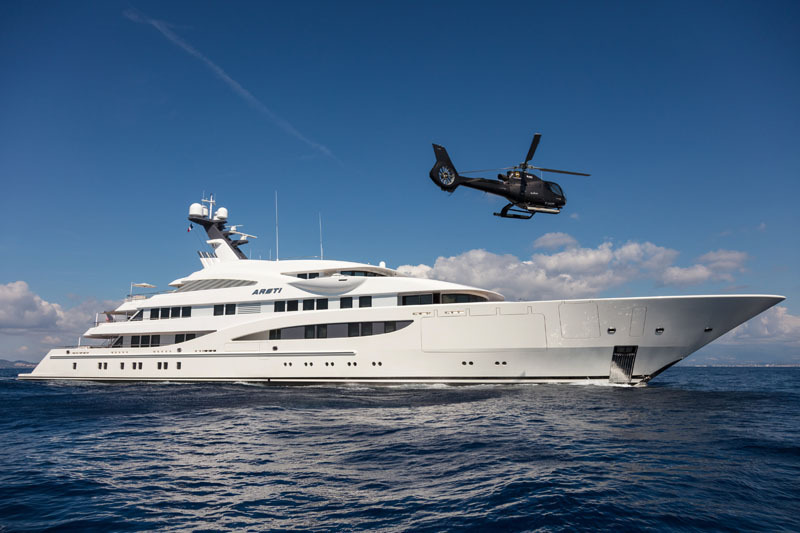 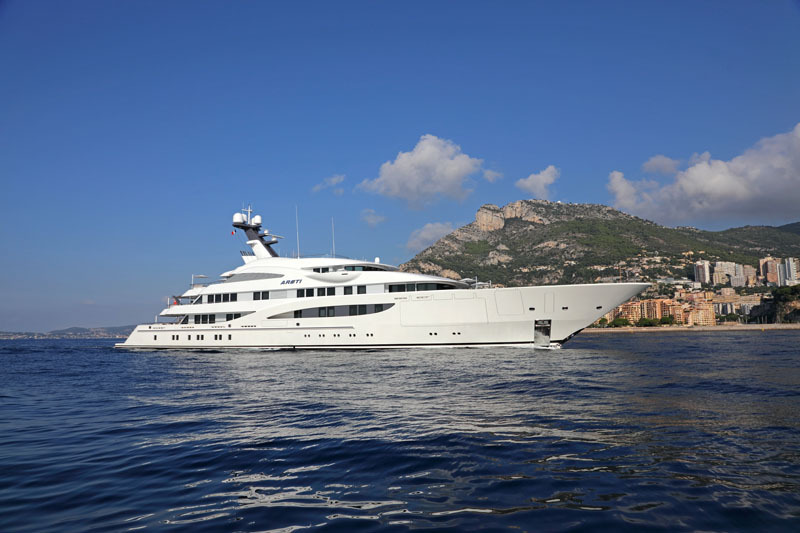 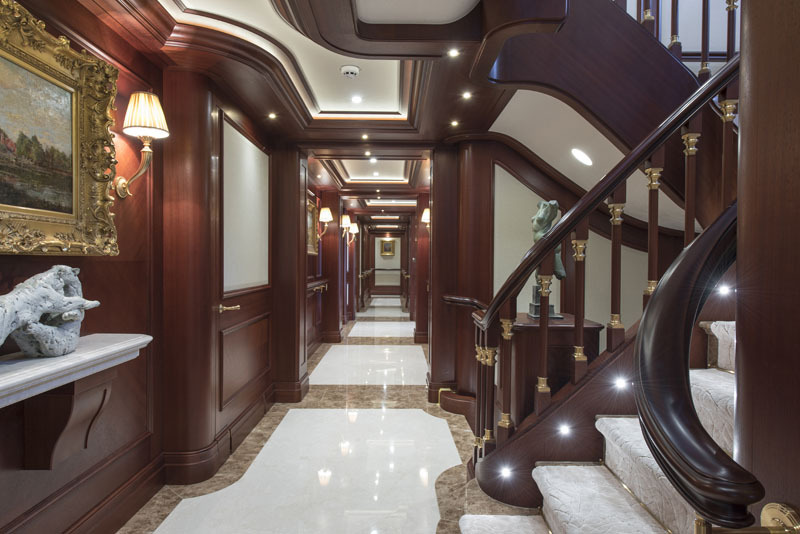 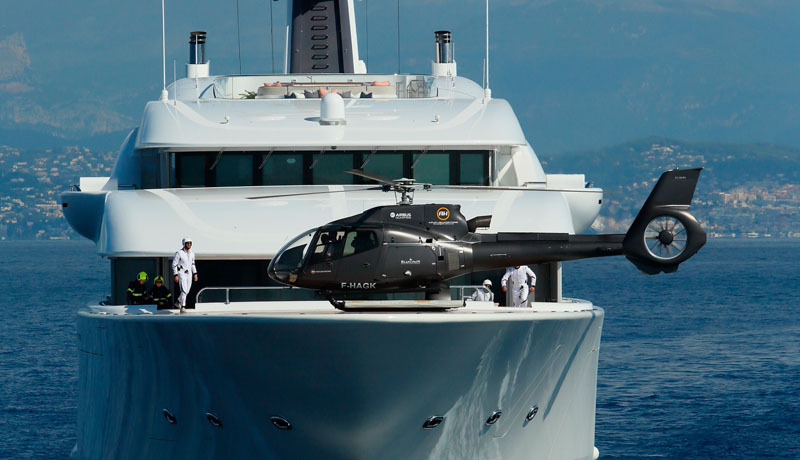 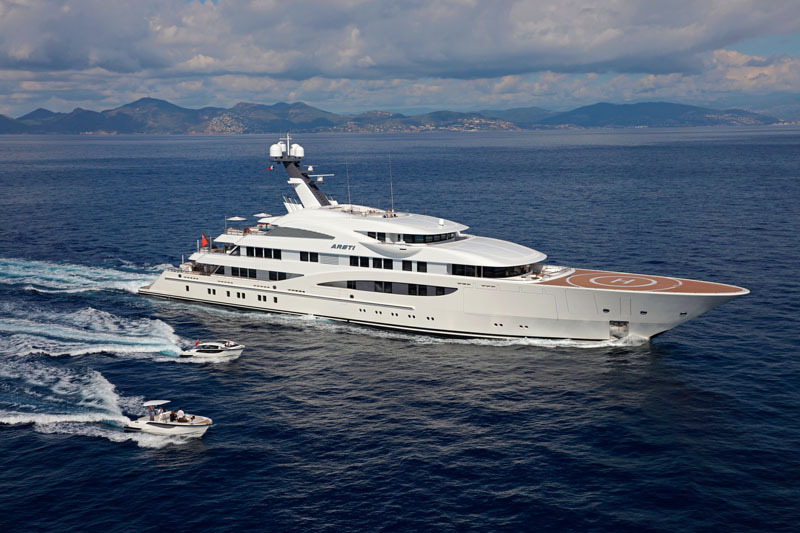 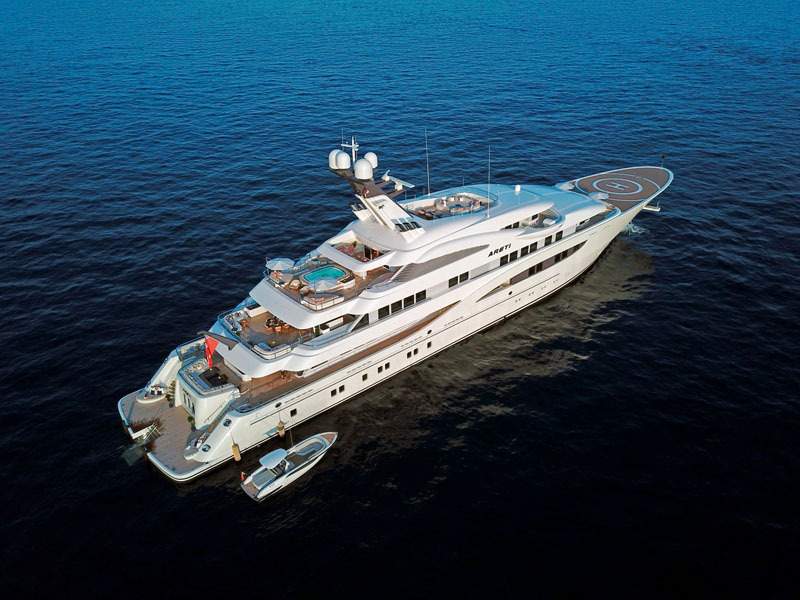 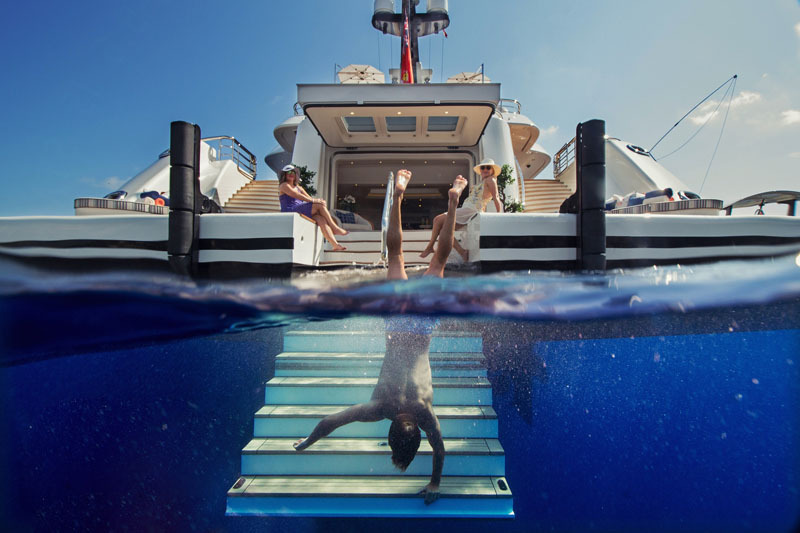 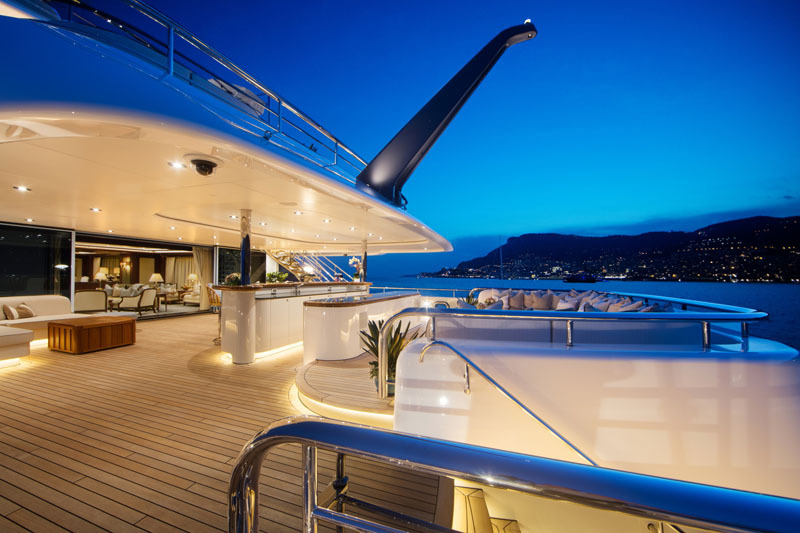 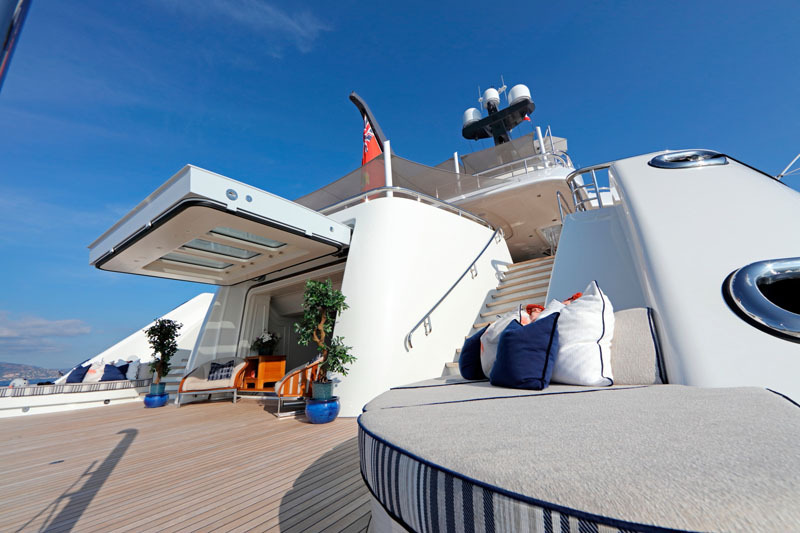 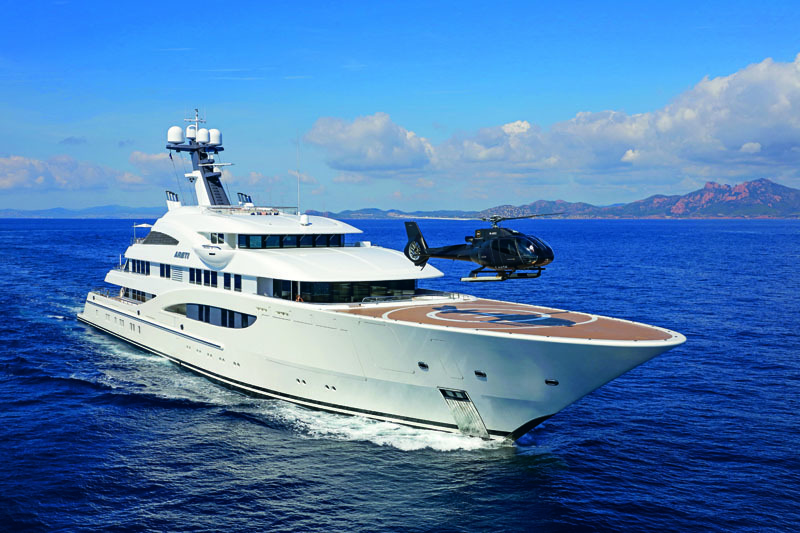 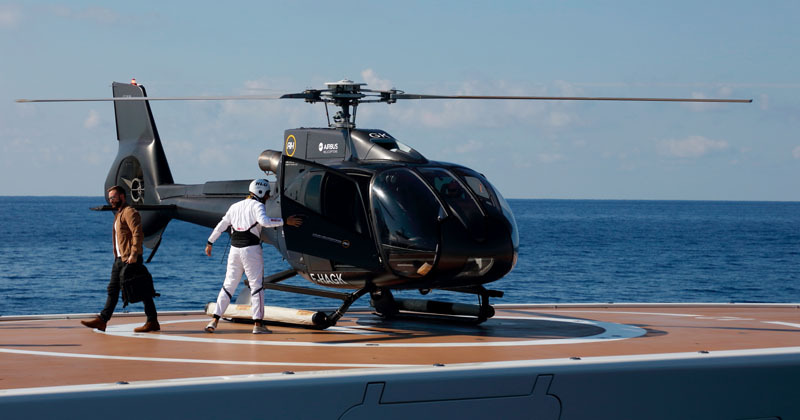 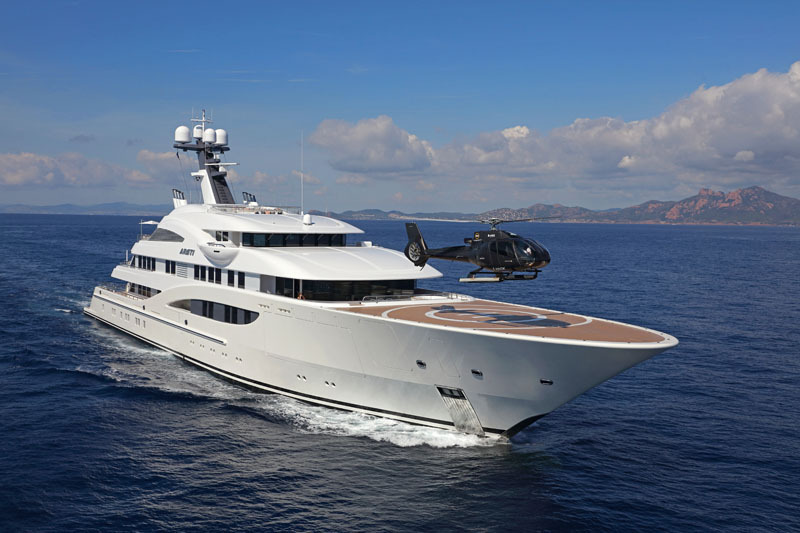 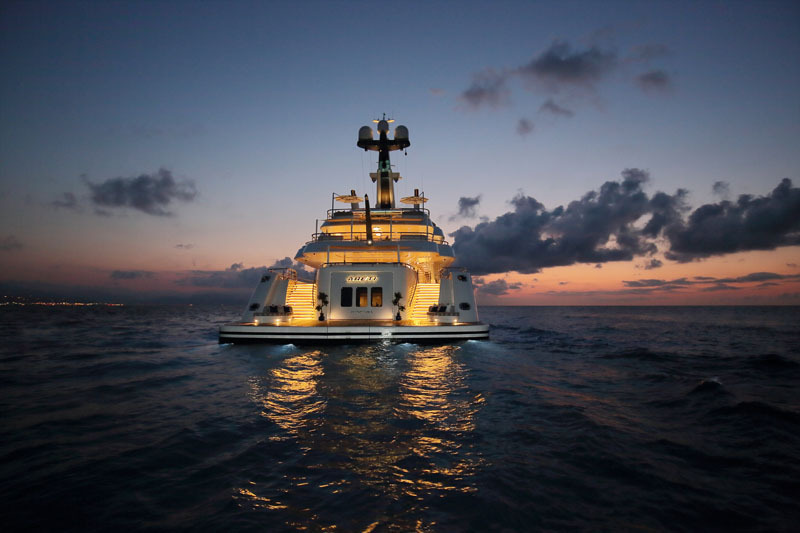 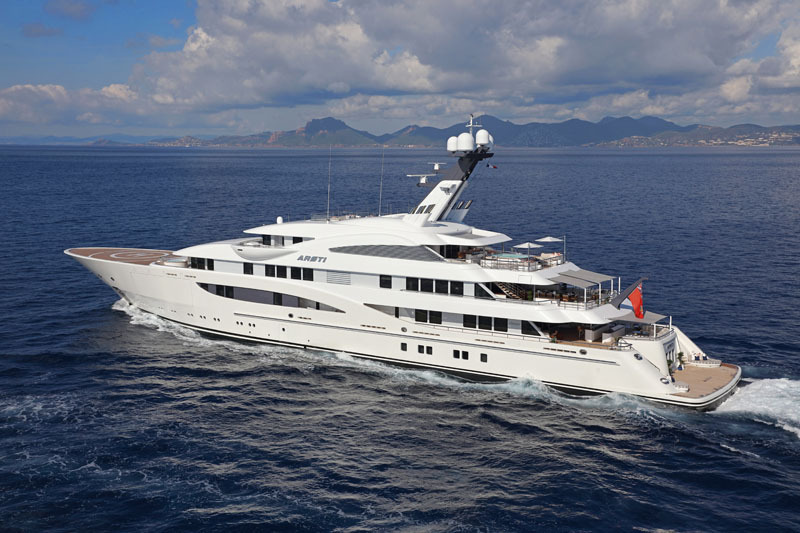 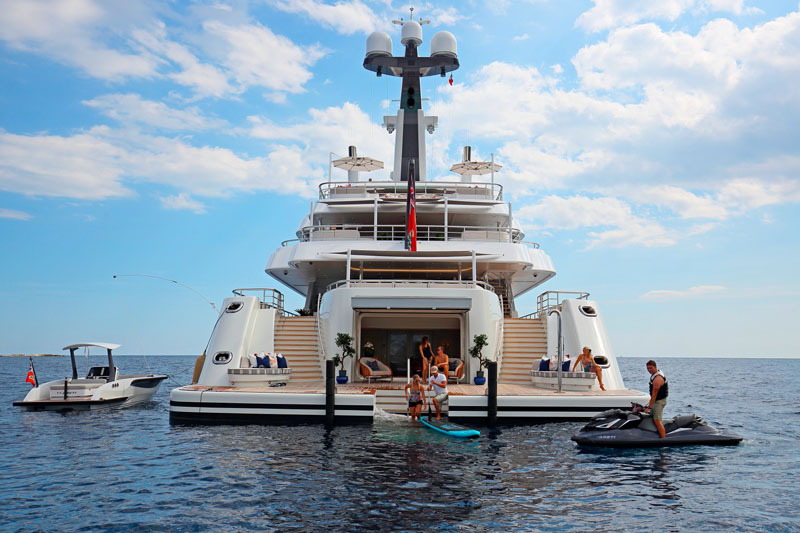 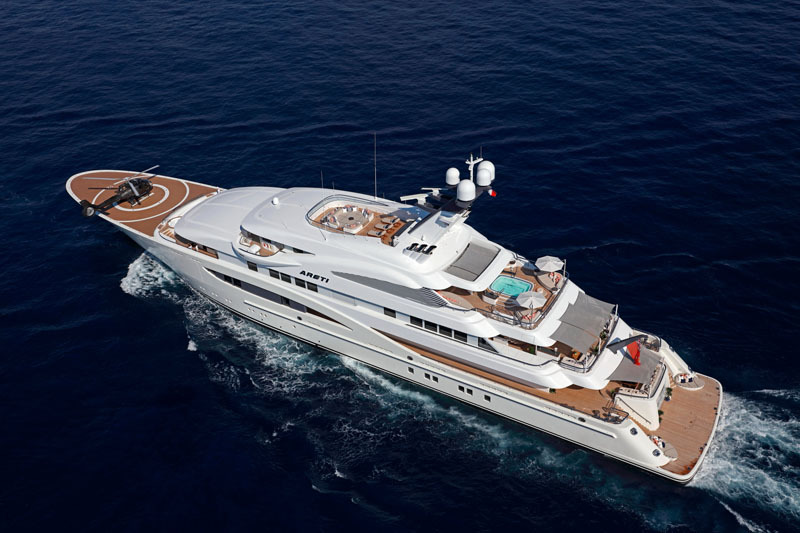 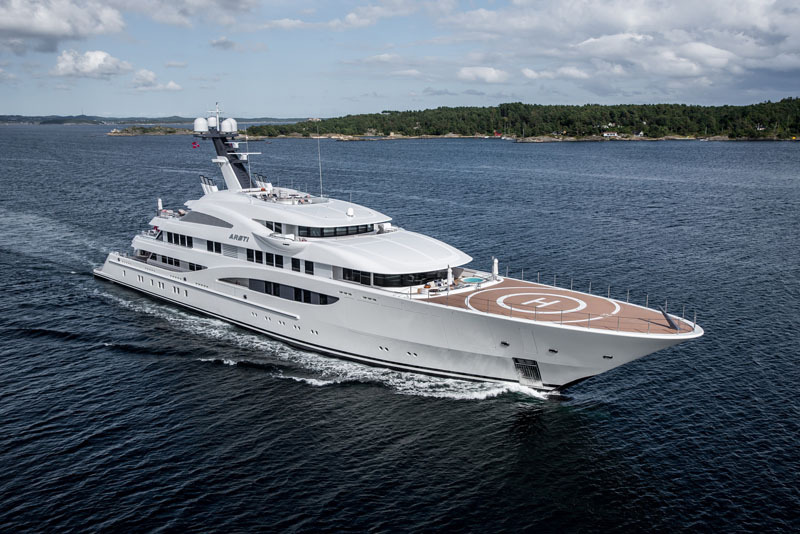 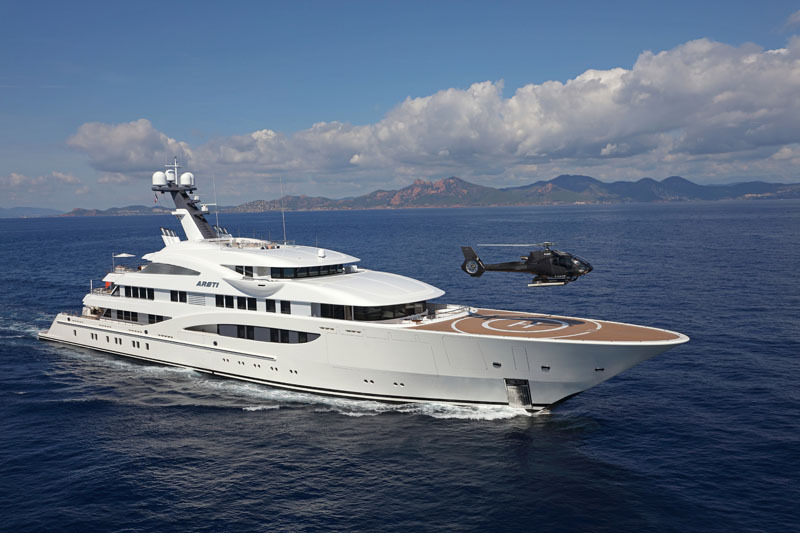 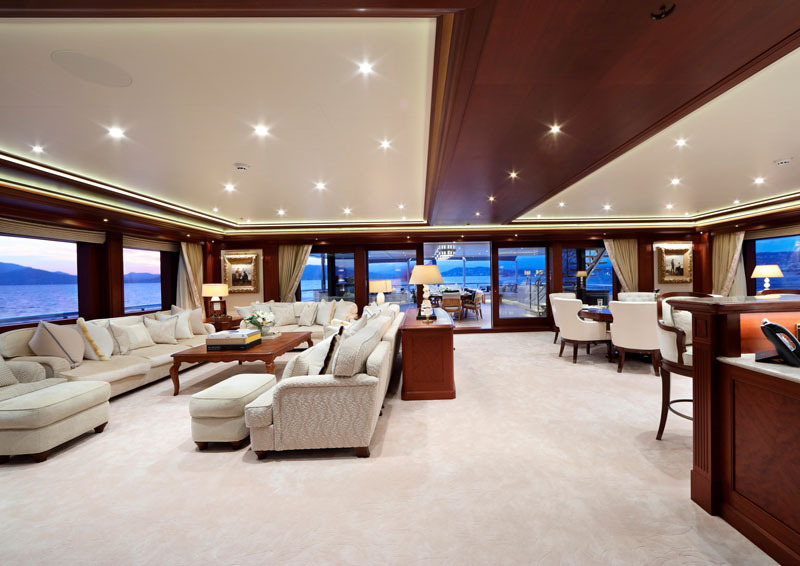 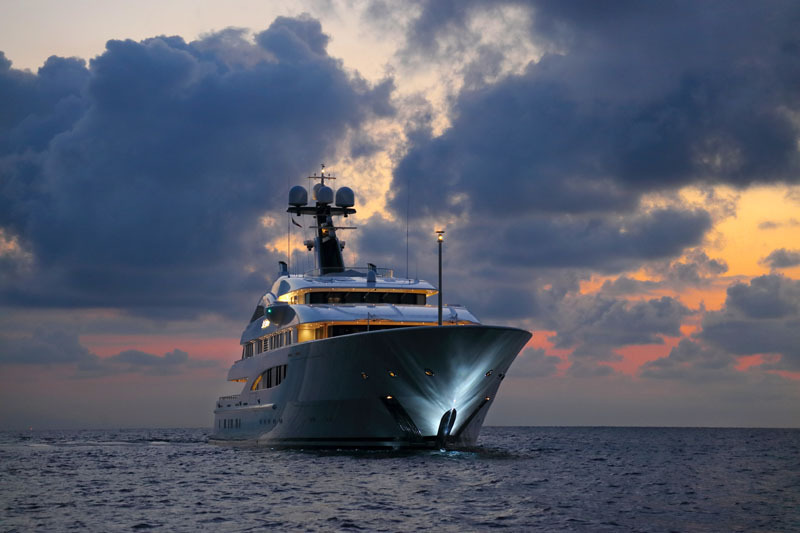 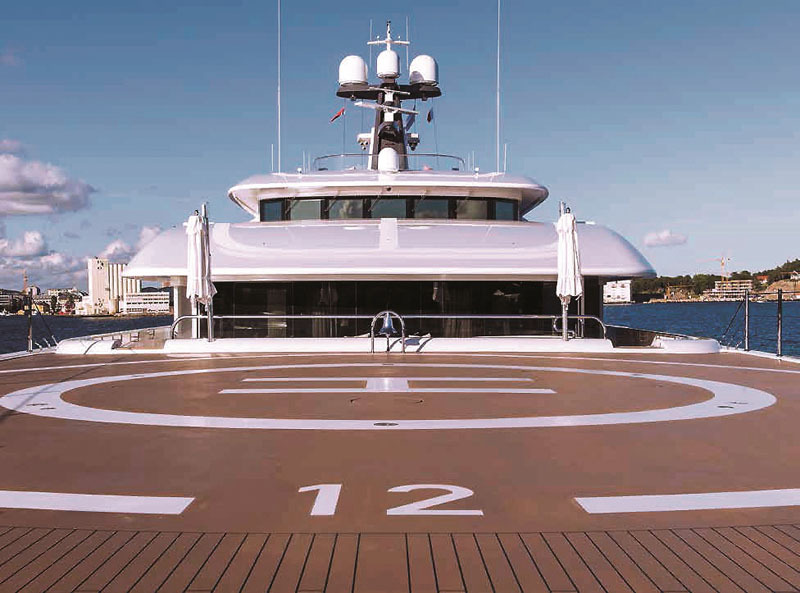 The 279-foot superyacht features an interior and exterior formal dining room located on the main deck, cinema area, two Jacuzzis, plunge pool, tender garage, a helipad on the bow, an elevator and a massive beach club with spa facilities. 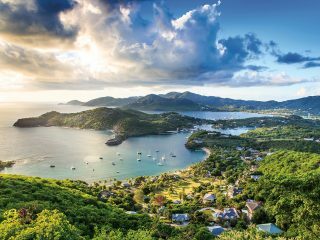 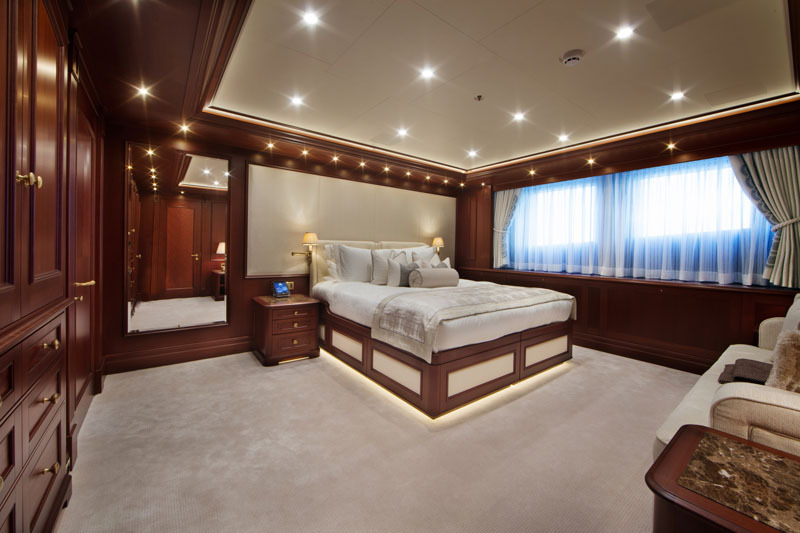 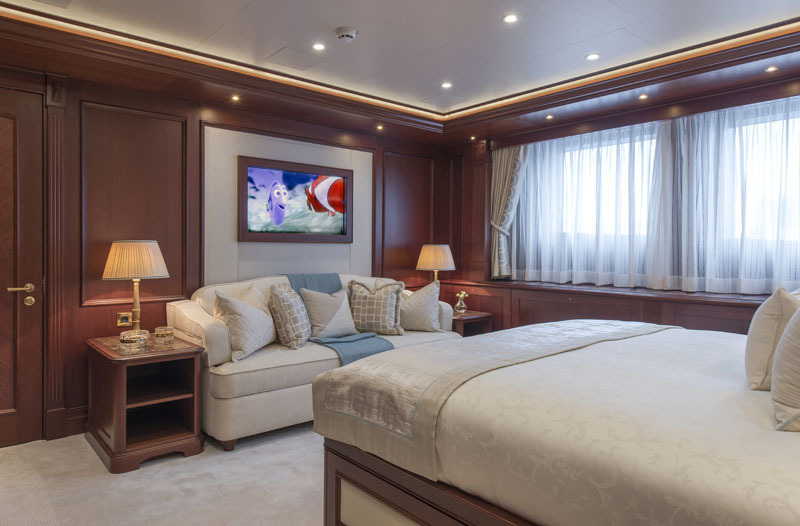 Areti is equipped with a full-beam master stateroom and eight guest staterooms. 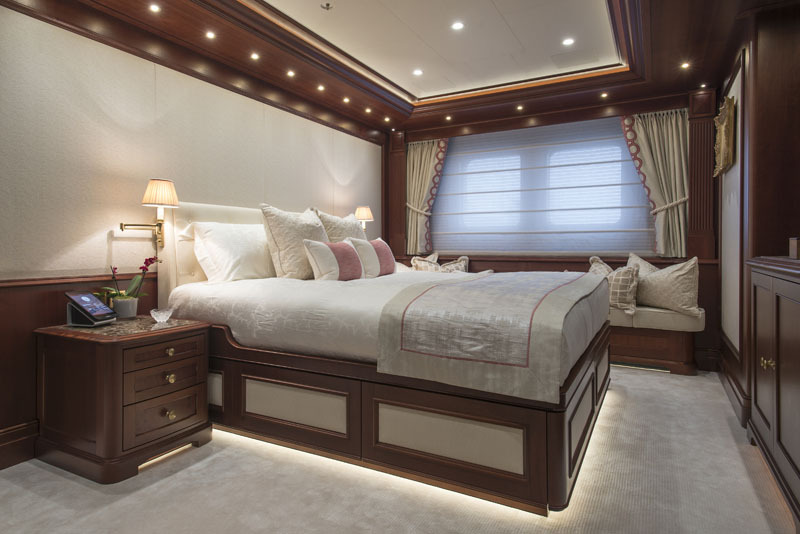 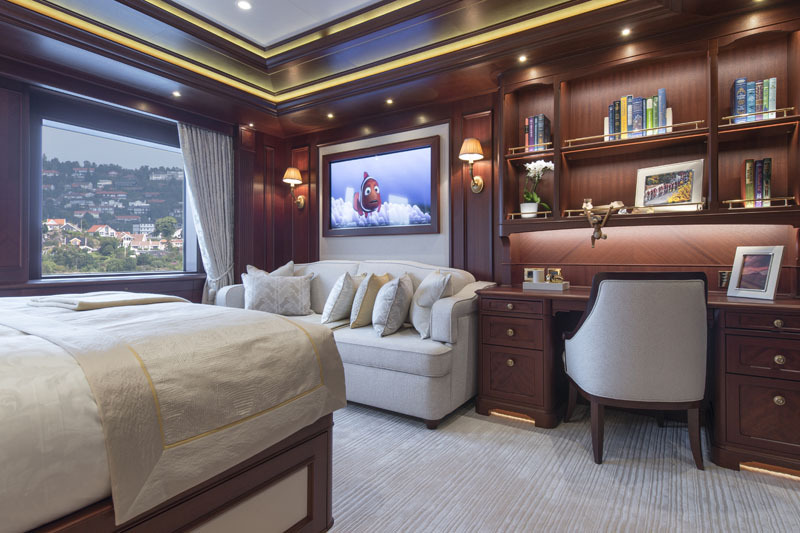 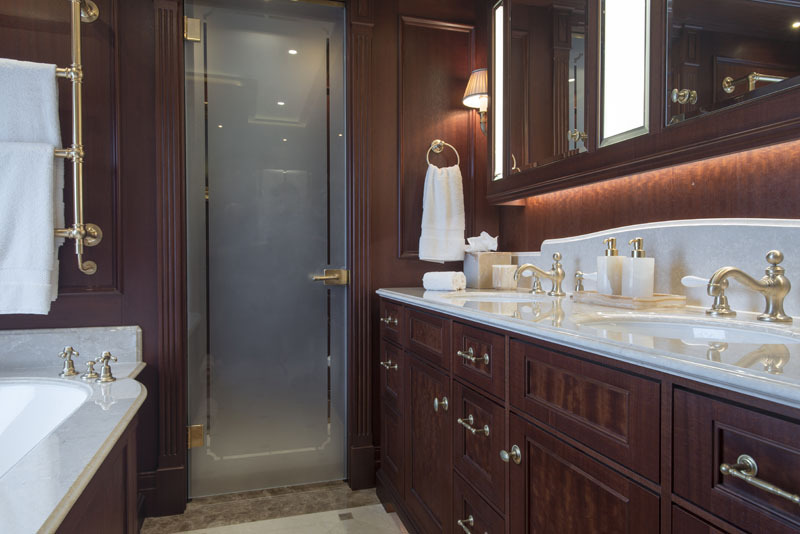 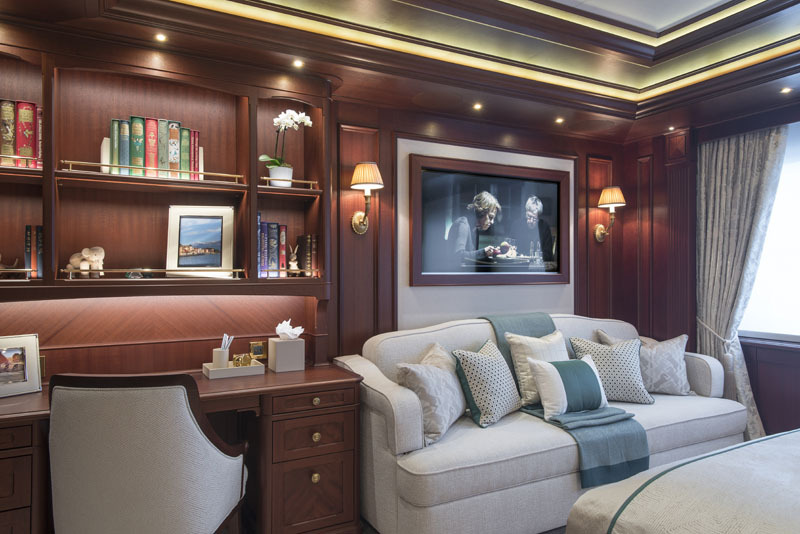 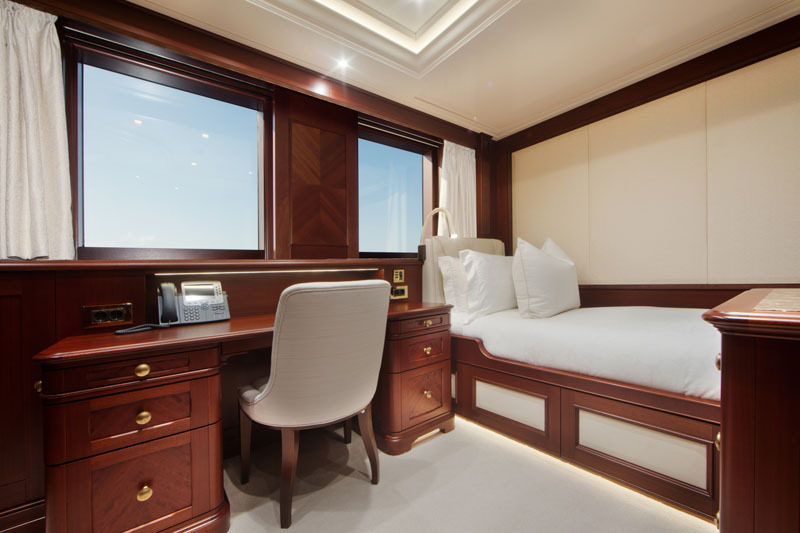 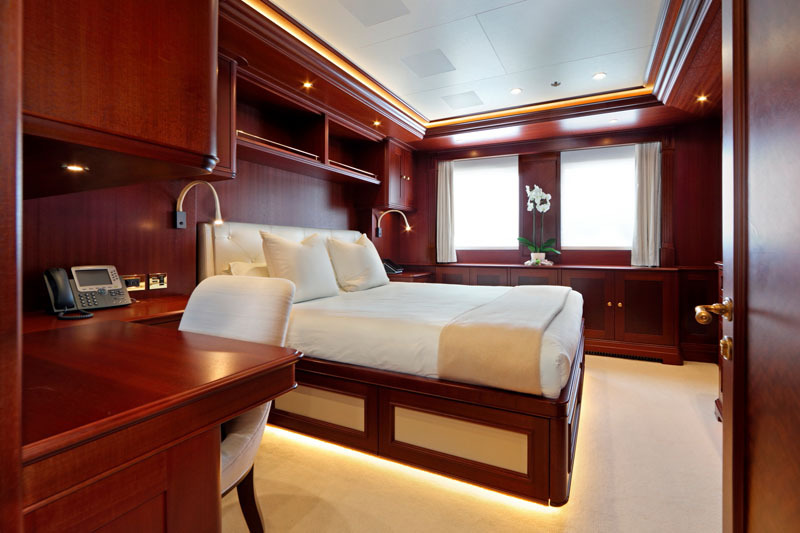 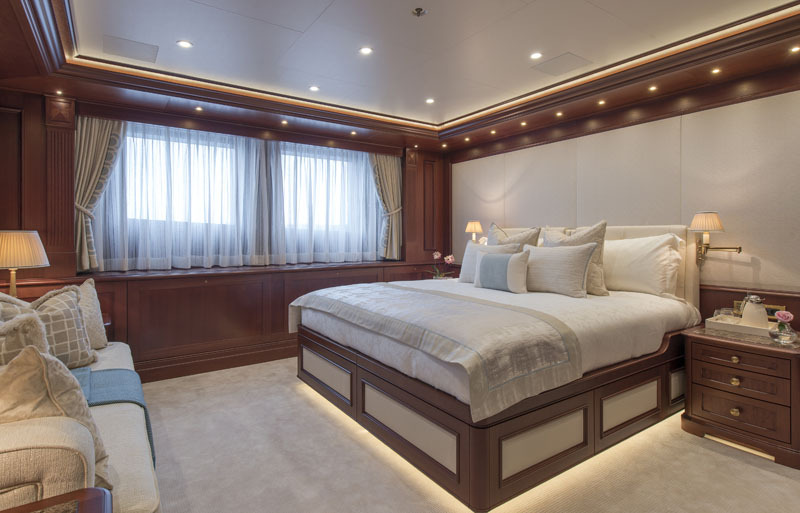 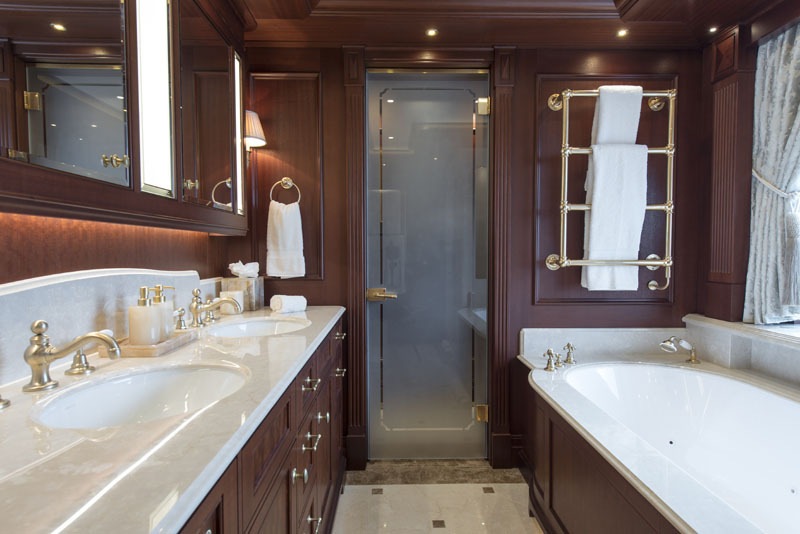 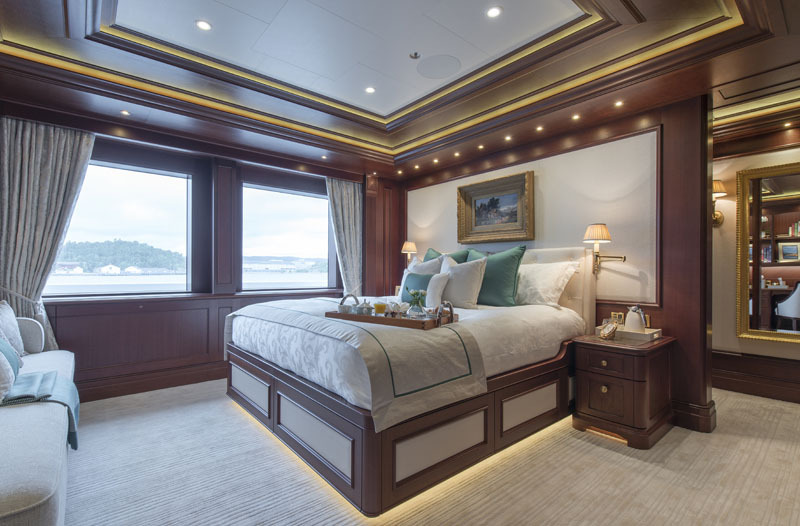 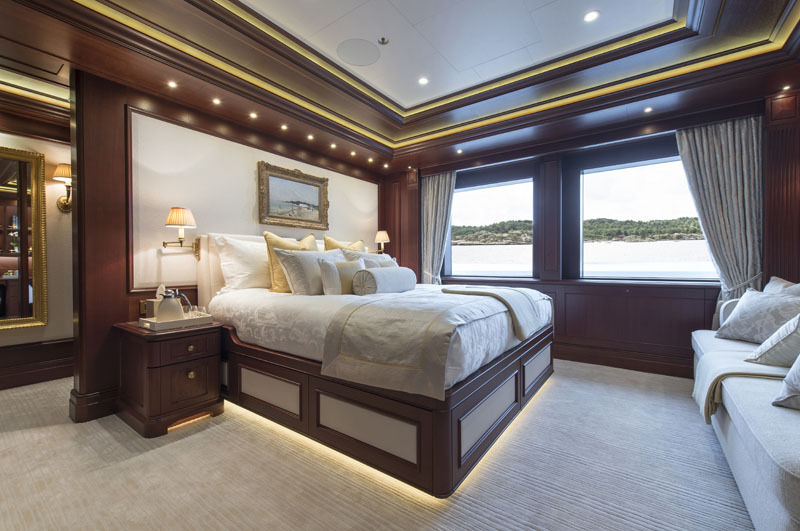 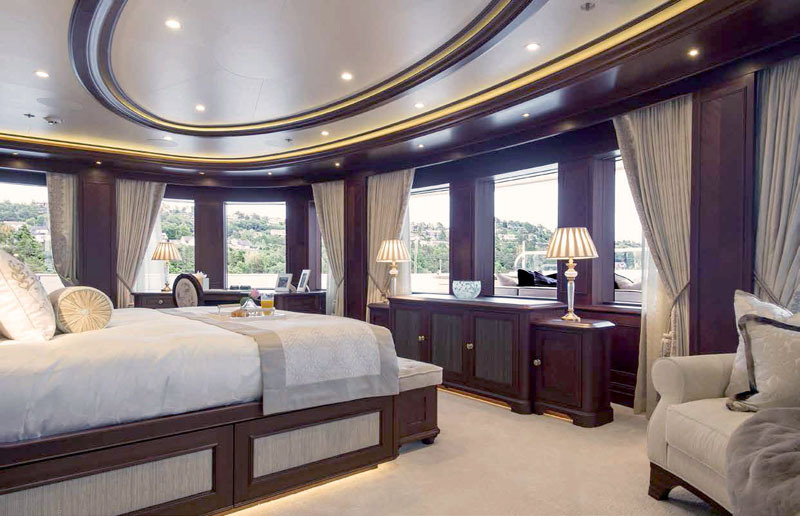 The owner’s master stateroom features its own forward deck (below the bridge deck), including a four-person Jacuzzi, sunbed, breakfast table and small seating area. 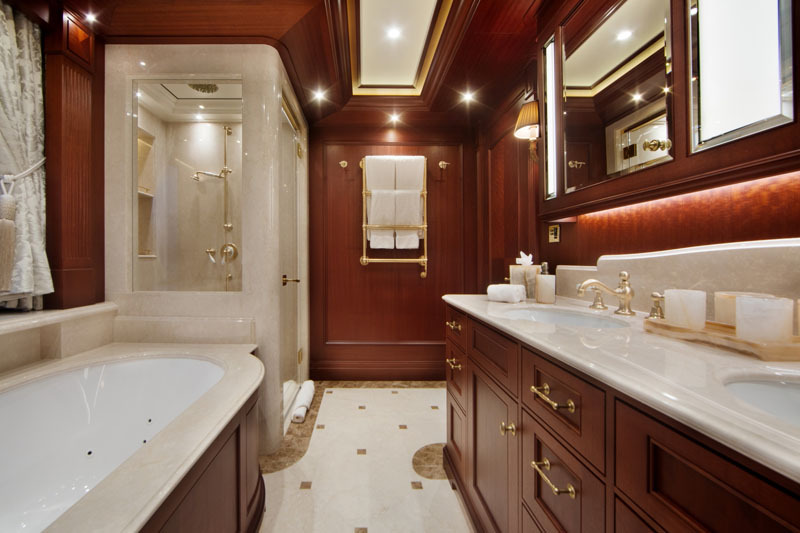 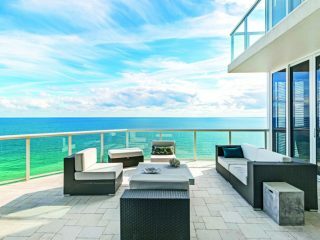 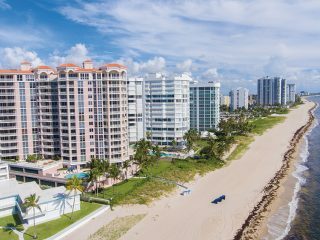 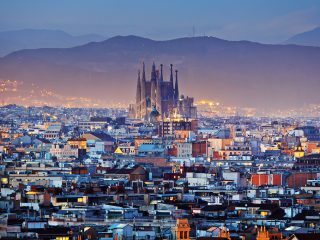 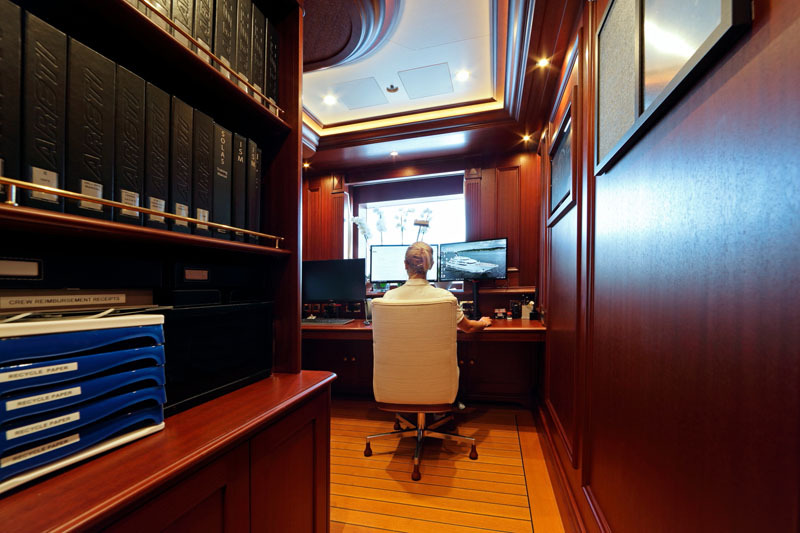 It was also made to provide the utmost privacy to the owner. 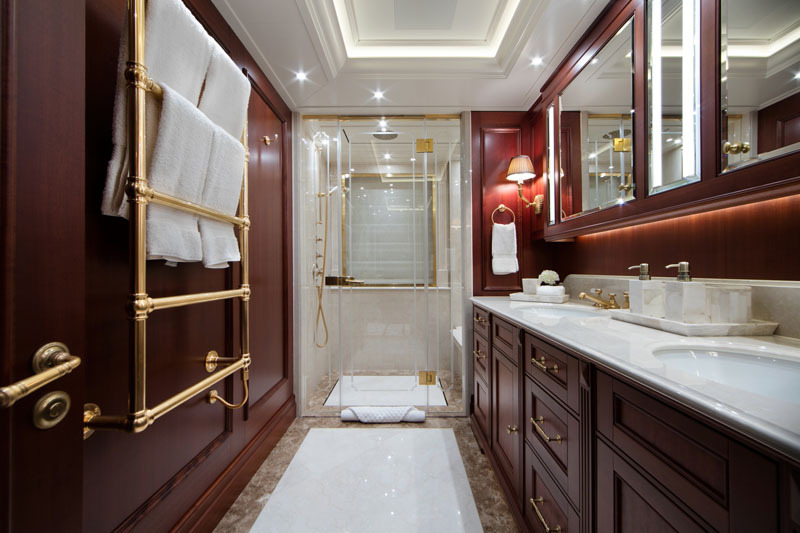 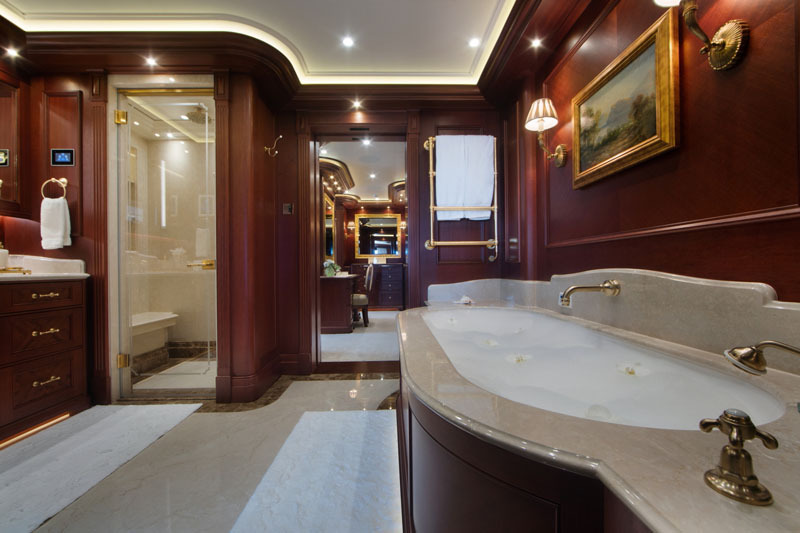 At the entrance, his-and-hers bathrooms are just steps away and include a watch display cabinet, hidden luggage storage and a large shower with a television and a larger ensuite Jacuzzi. 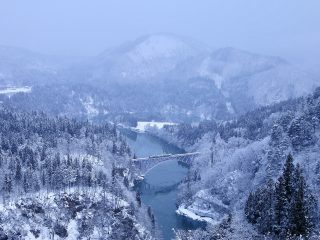 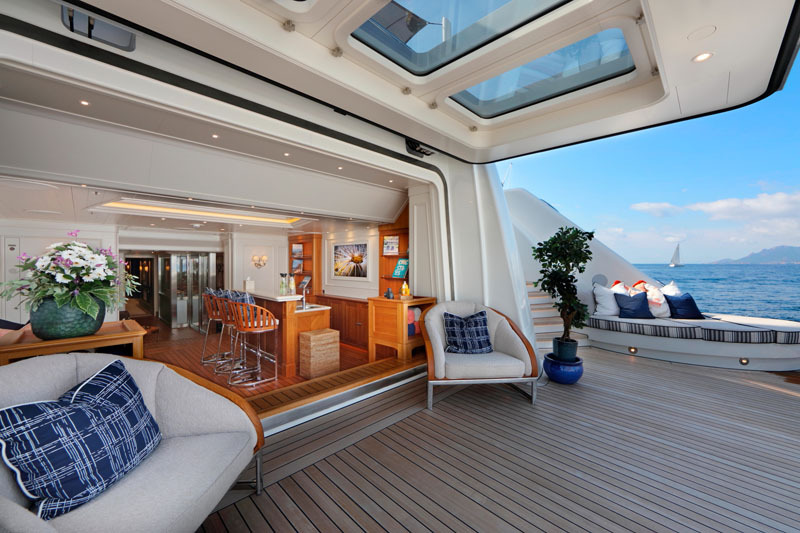 The best part though, might be the 180-degree views through panoramic windows. 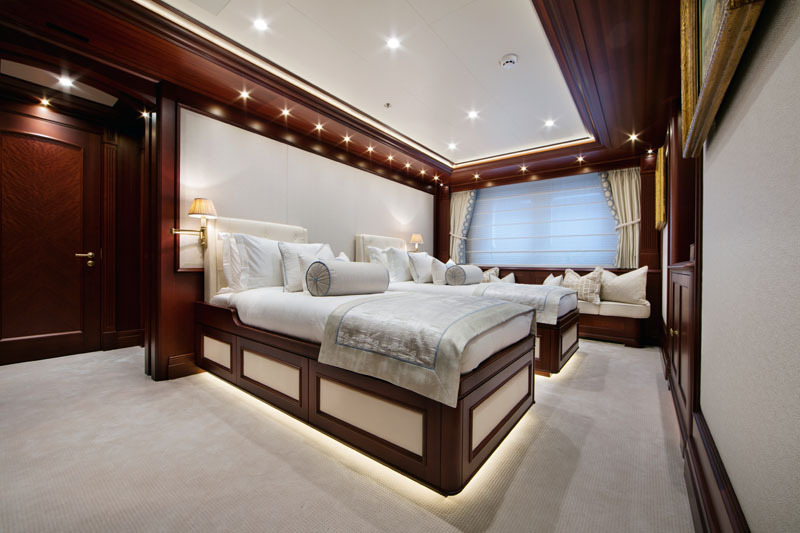 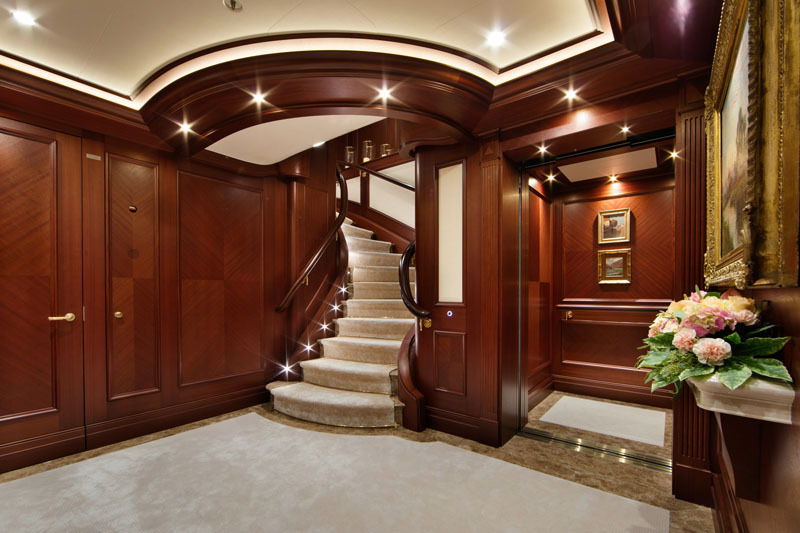 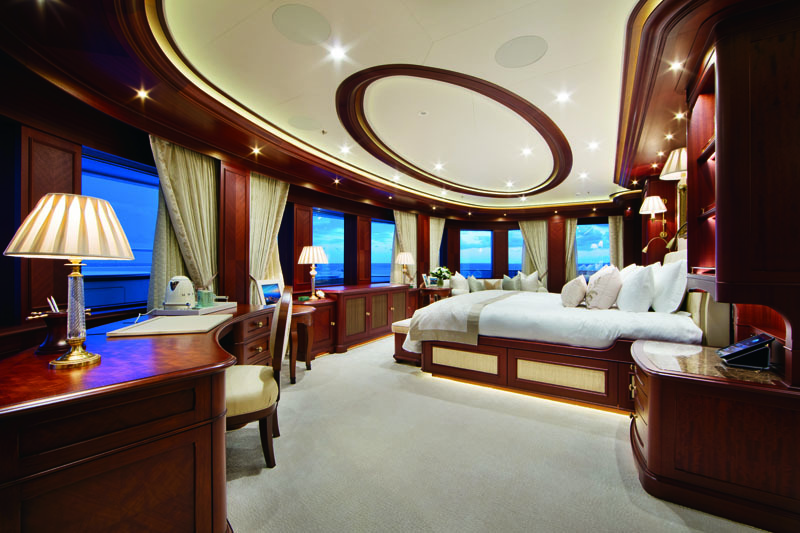 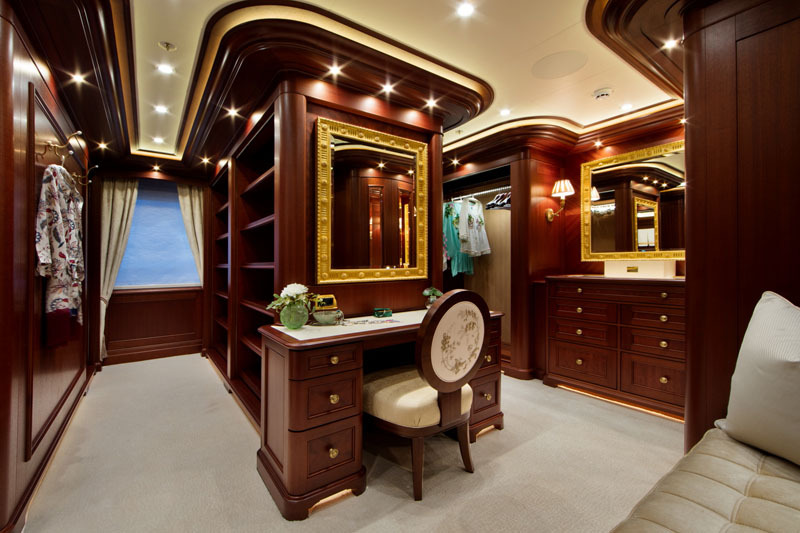 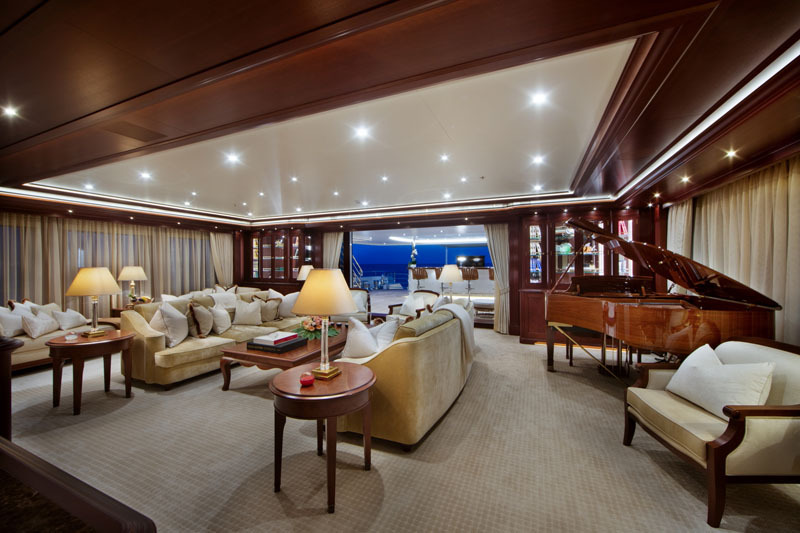 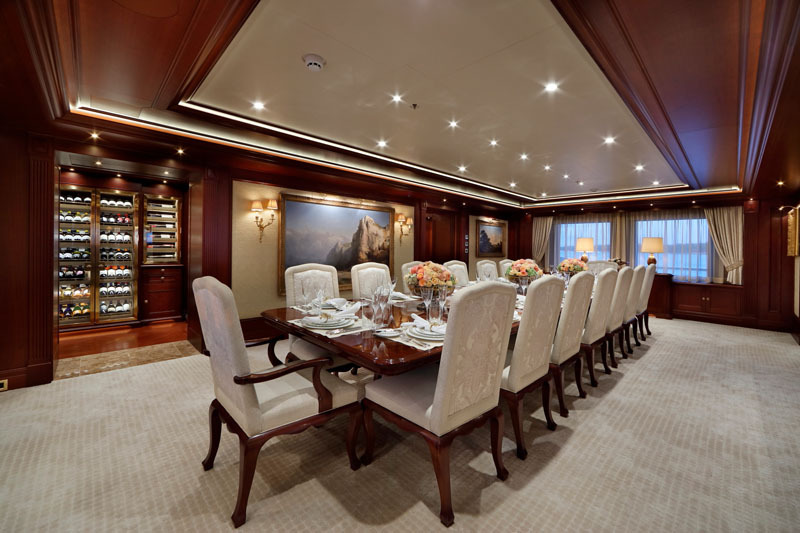 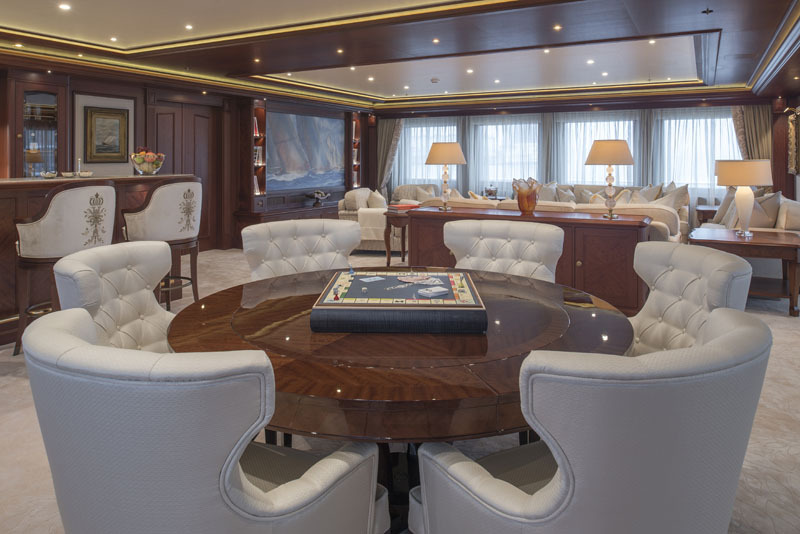 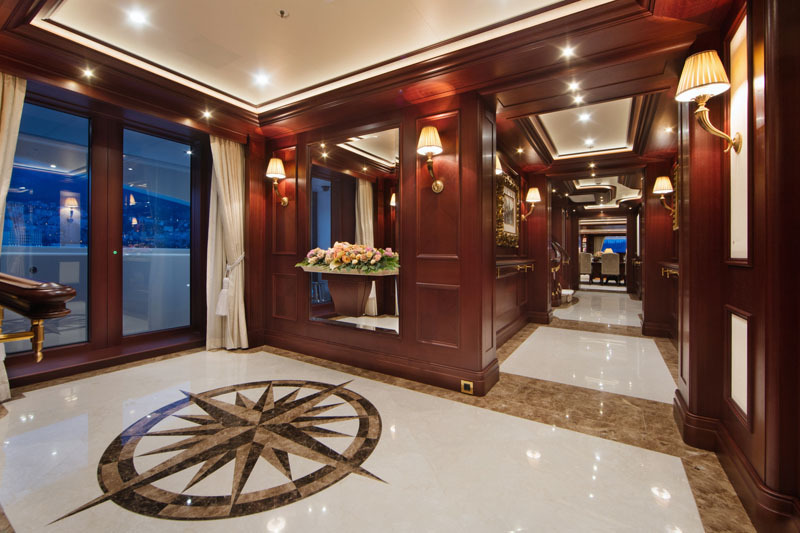 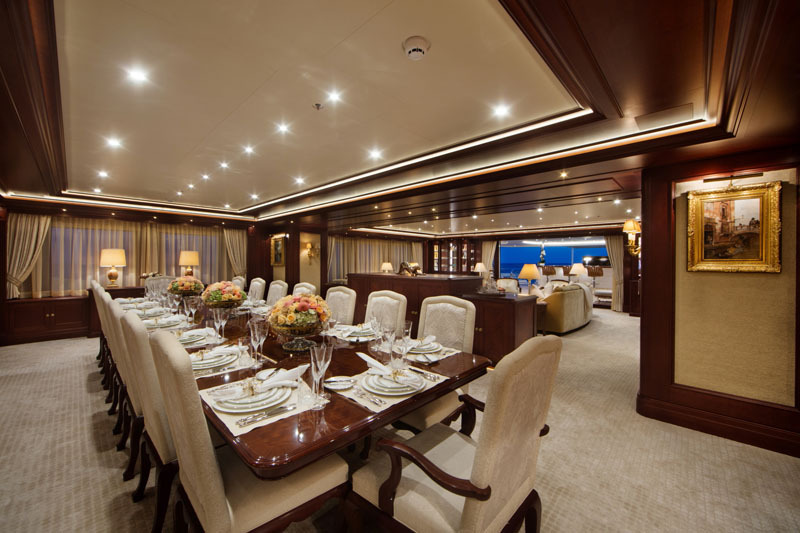 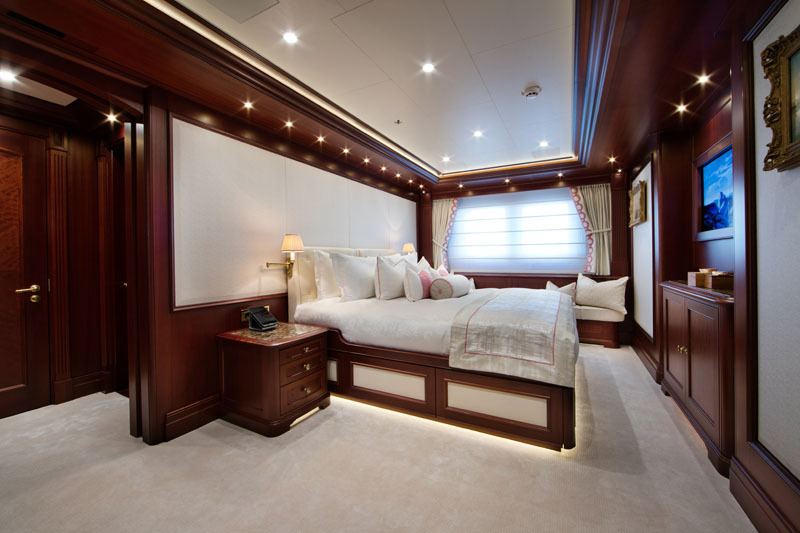 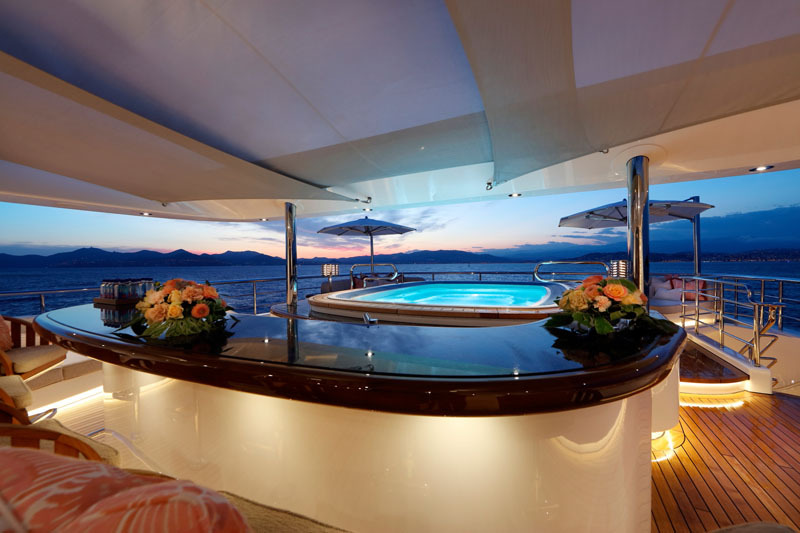 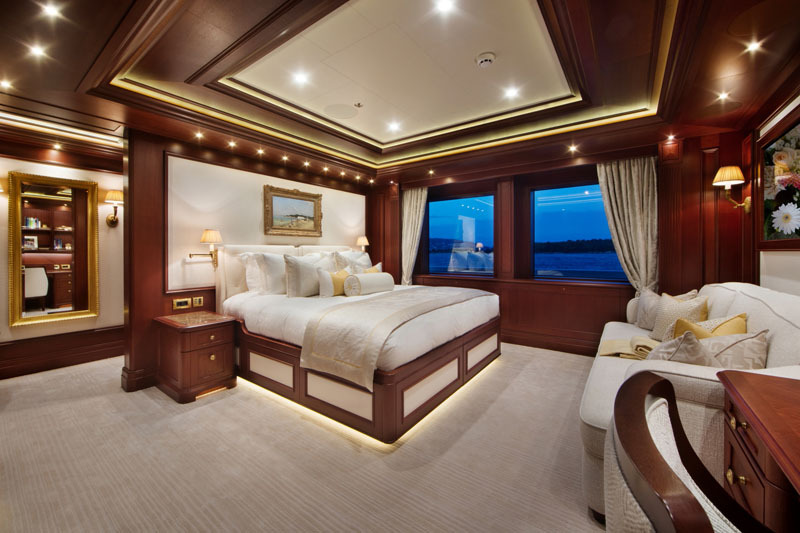 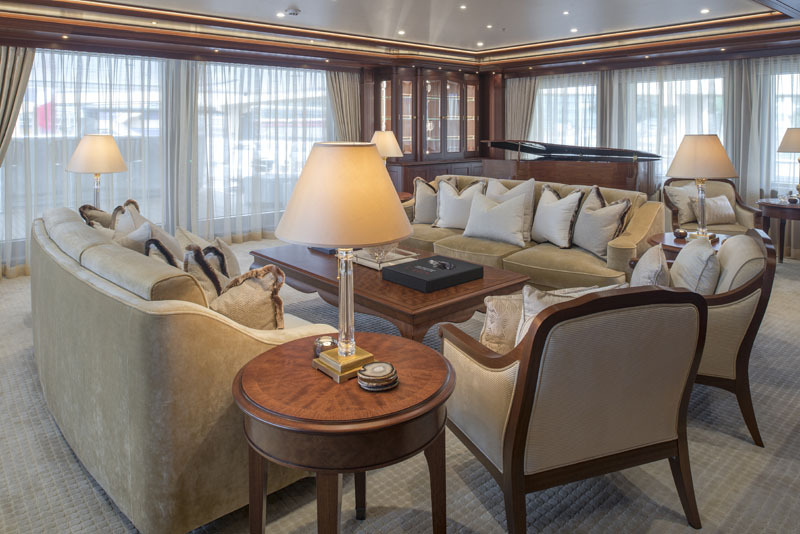 The guest staterooms are made up of two VIP suites and six doubles (two on the main deck and four on the lower deck). 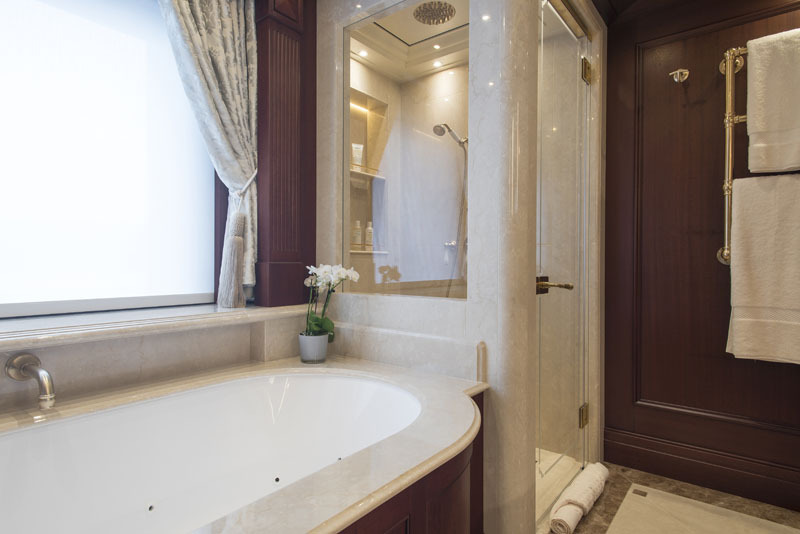 The VIP suites are located near the owner’s suite, intended for family, and feature ensuite Jacuzzi baths. 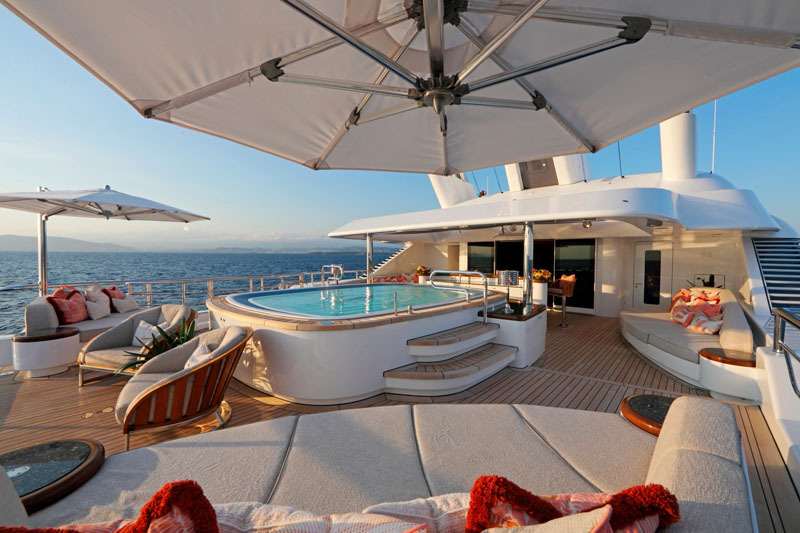 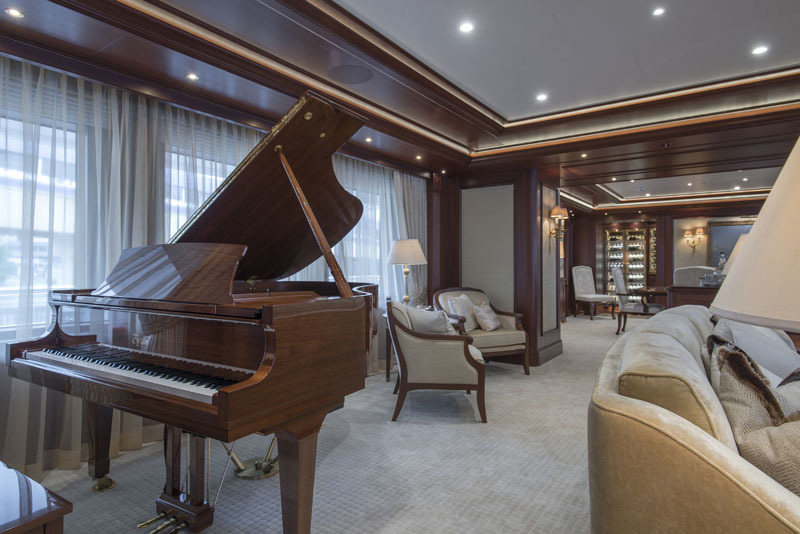 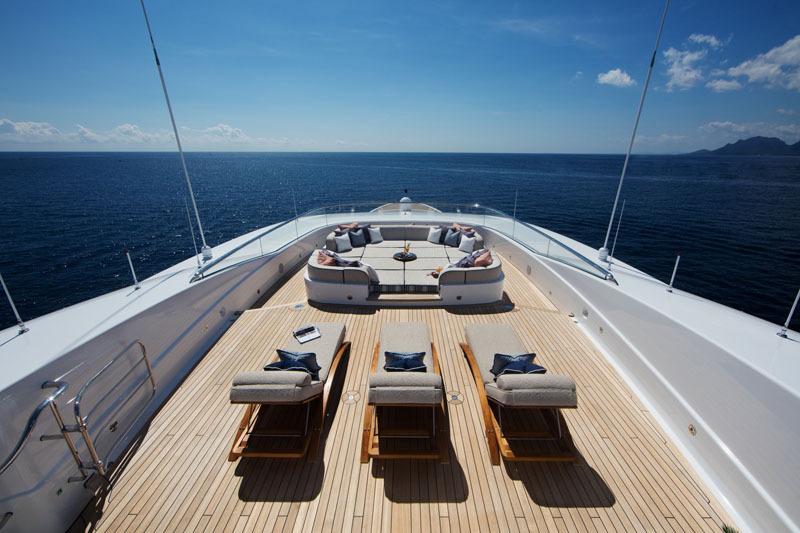 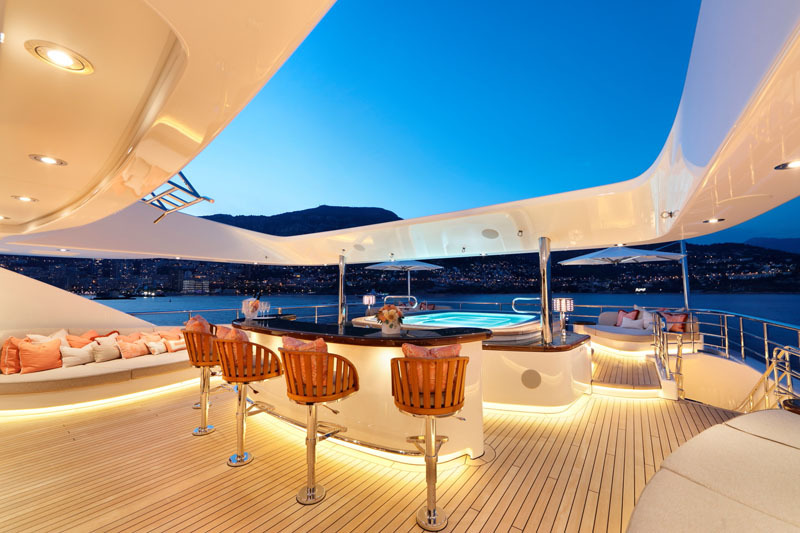 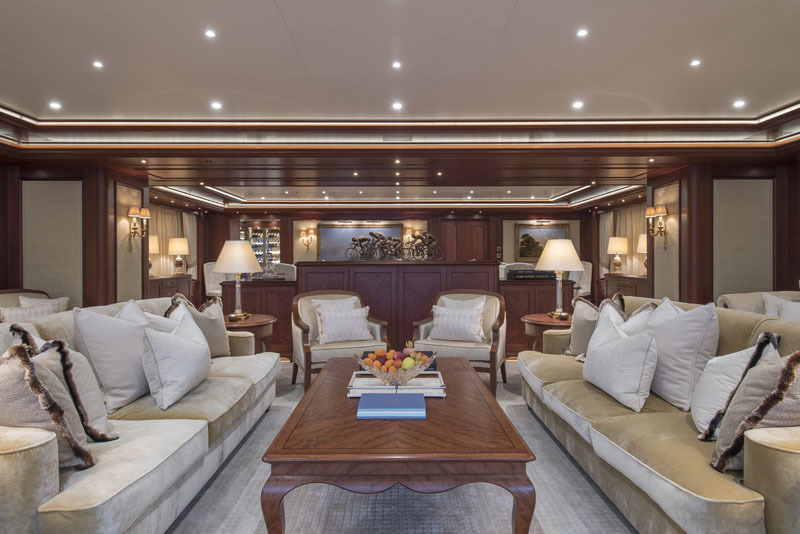 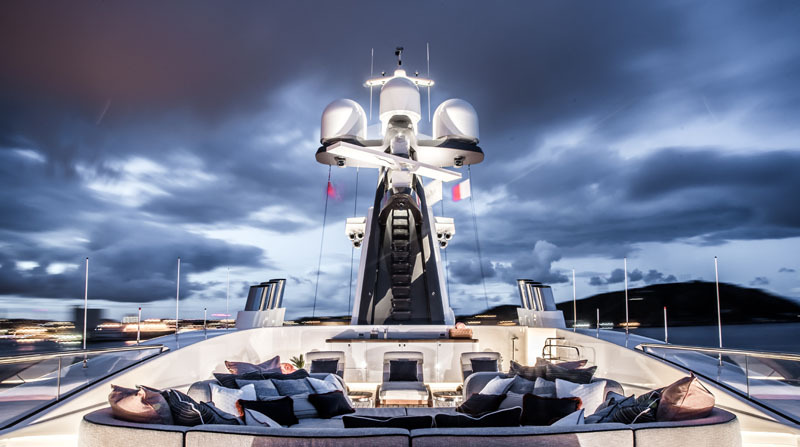 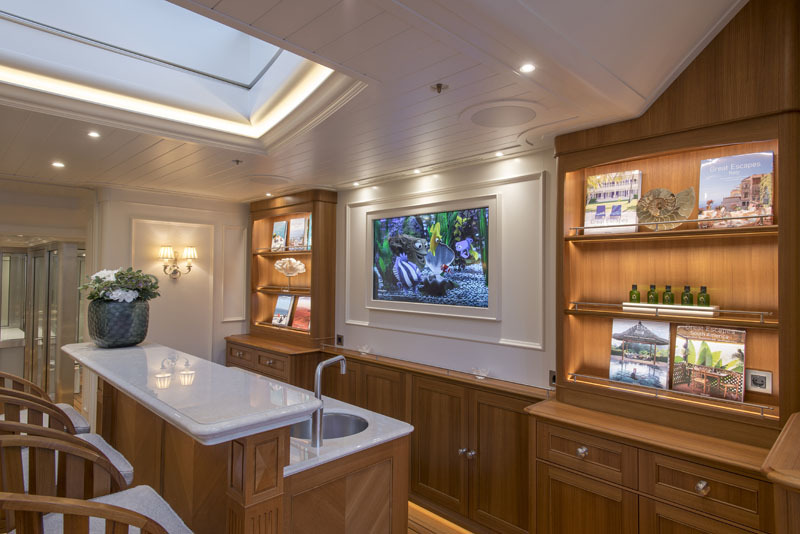 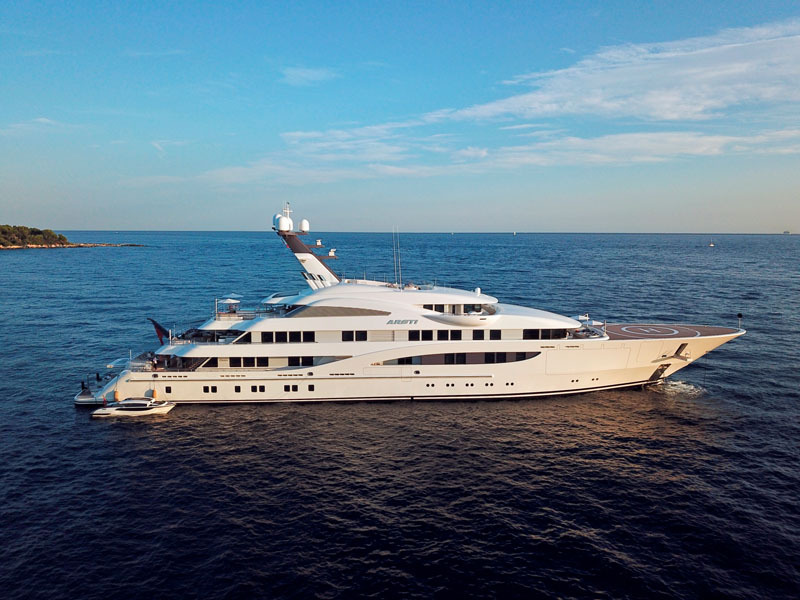 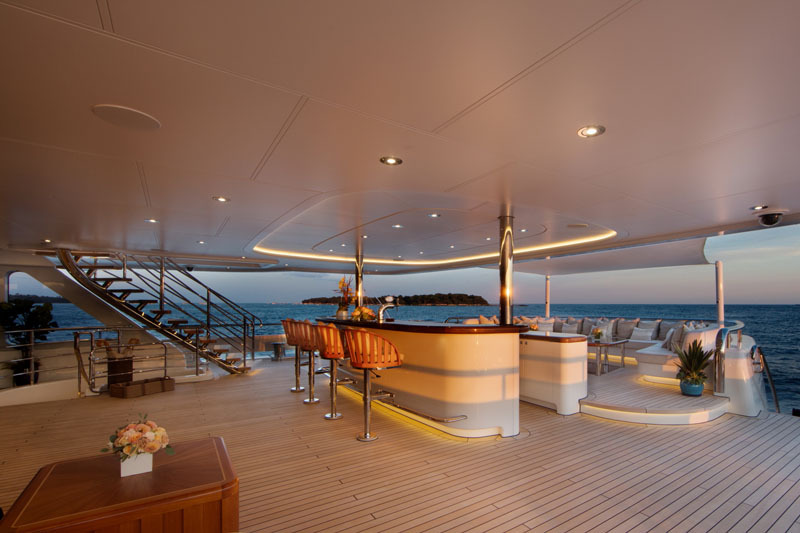 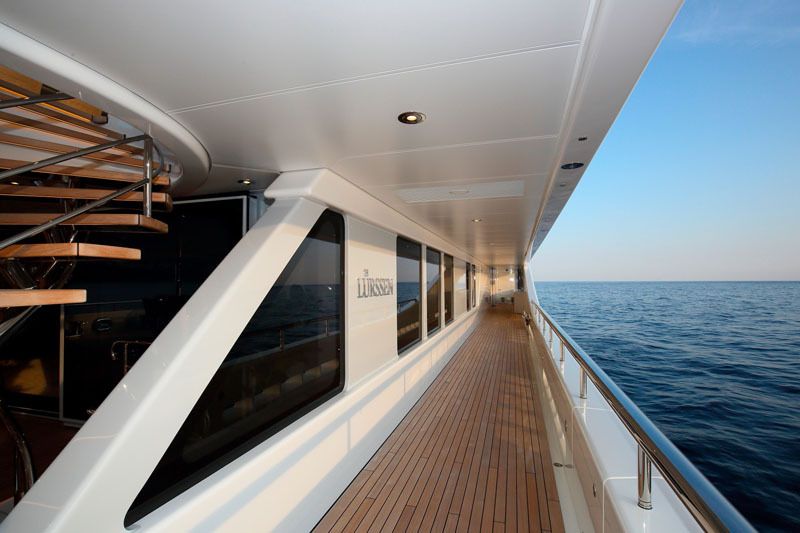 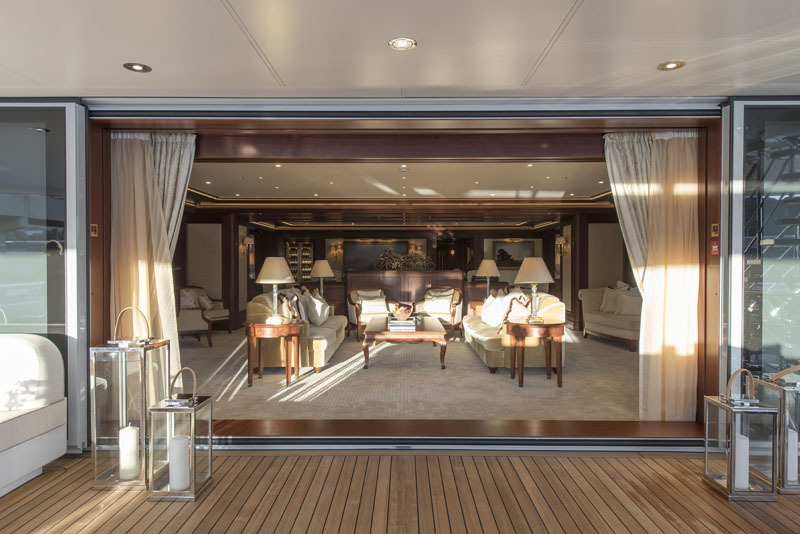 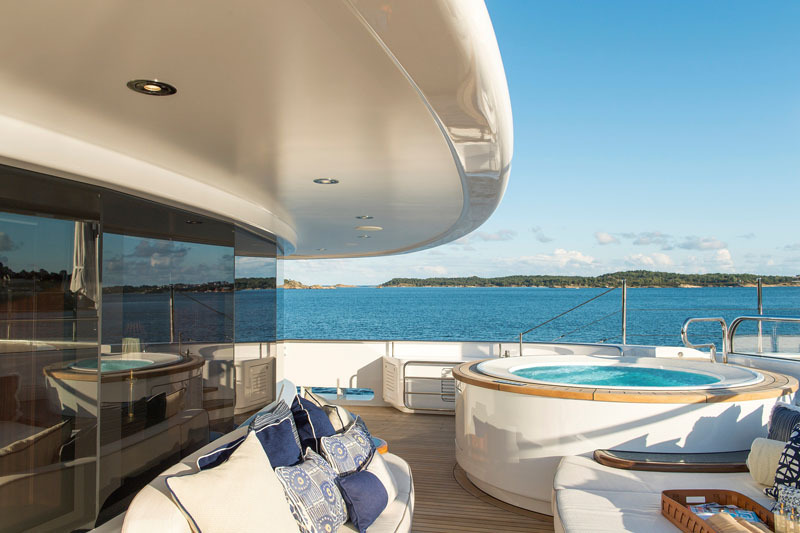 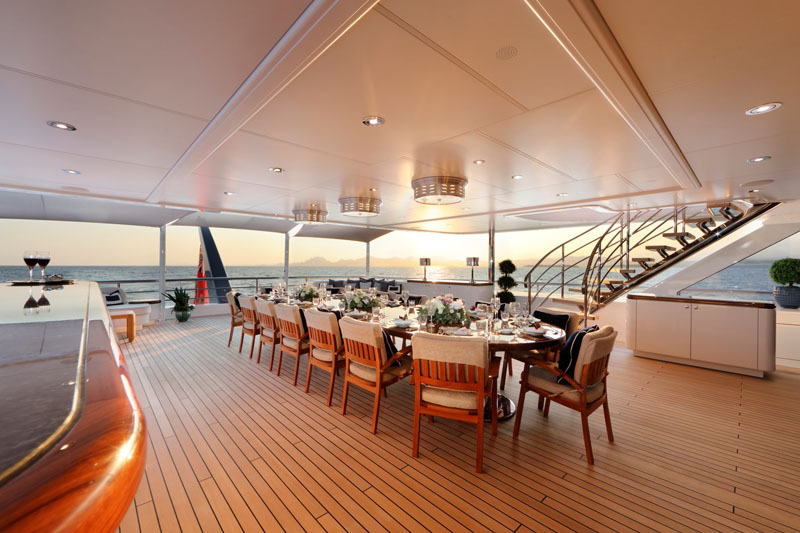 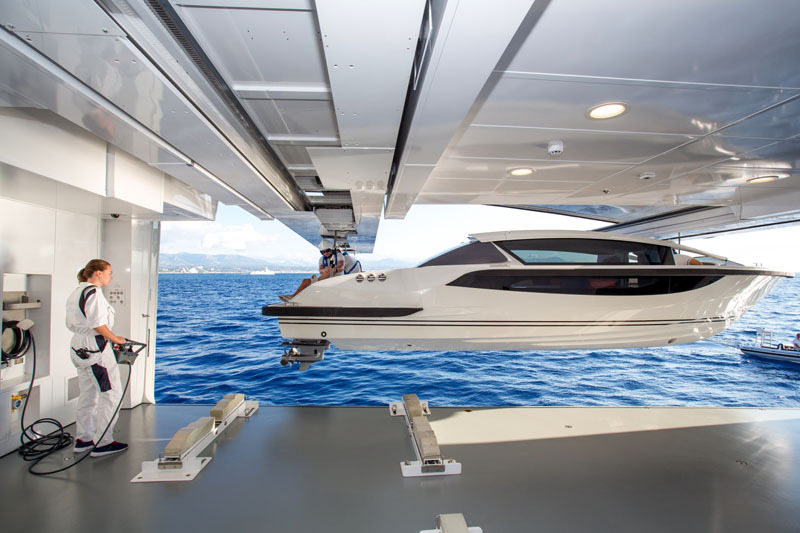 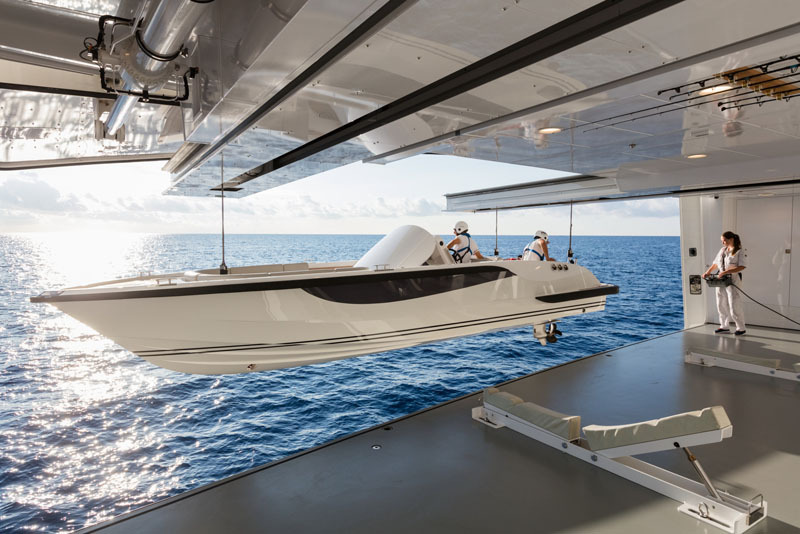 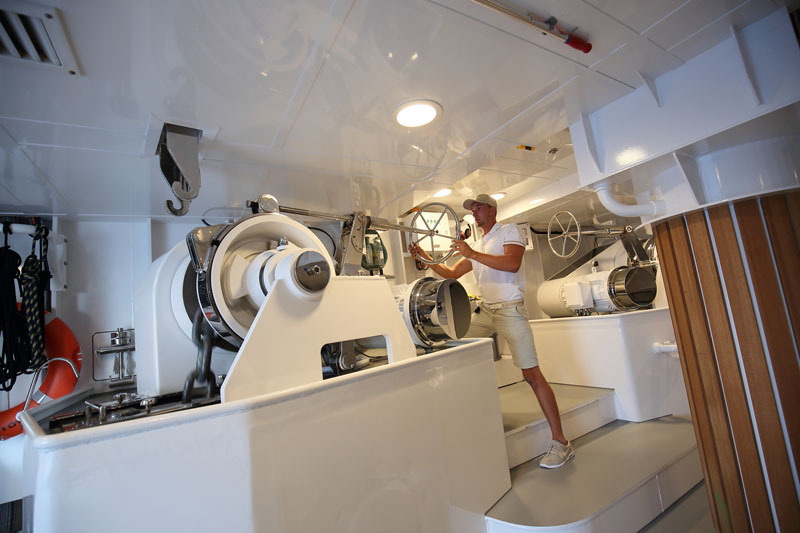 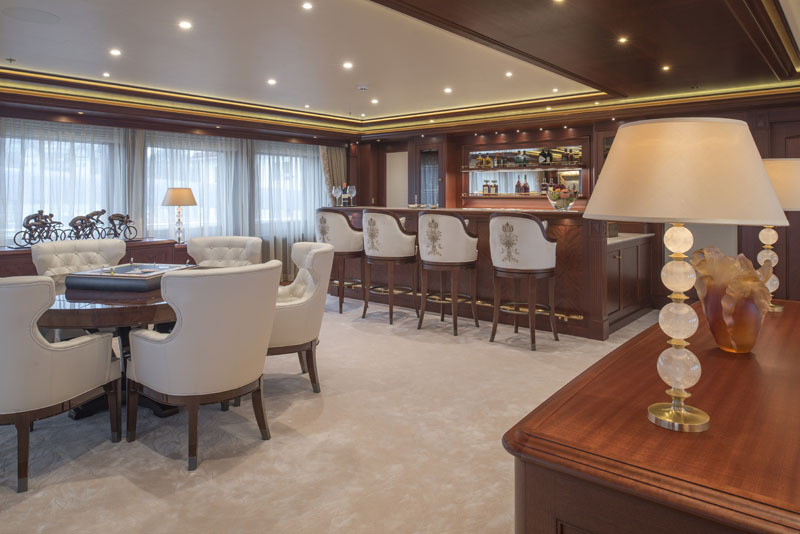 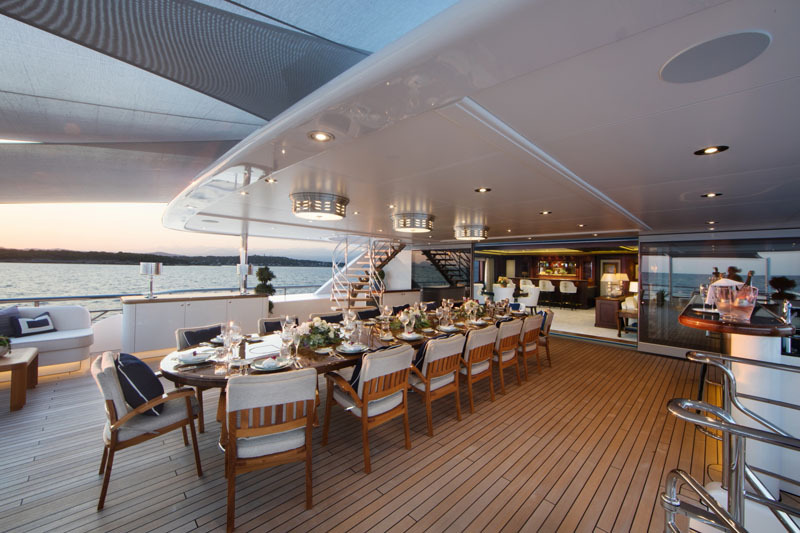 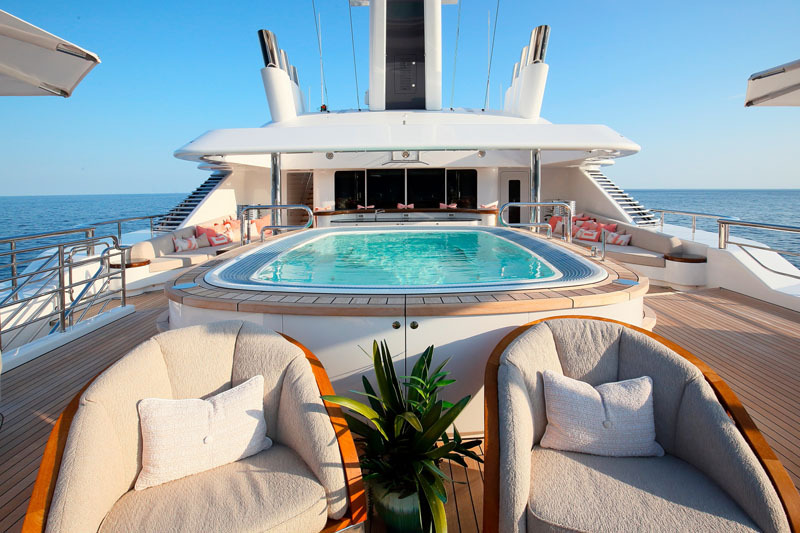 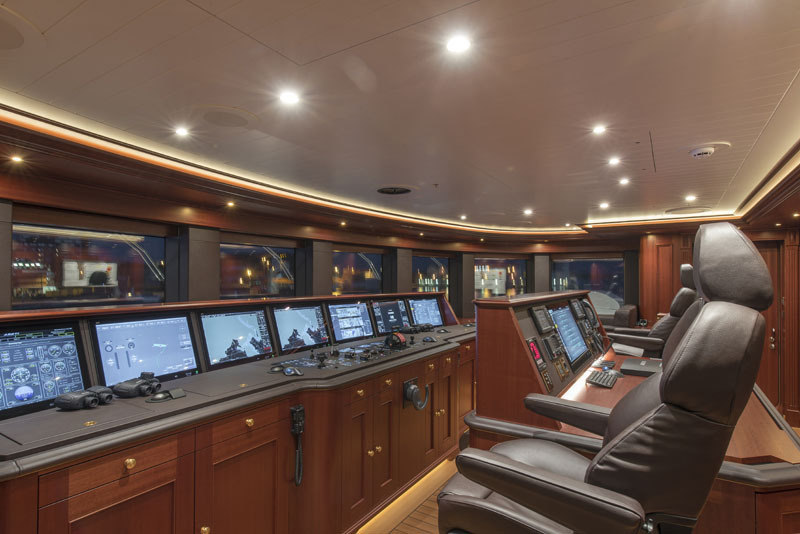 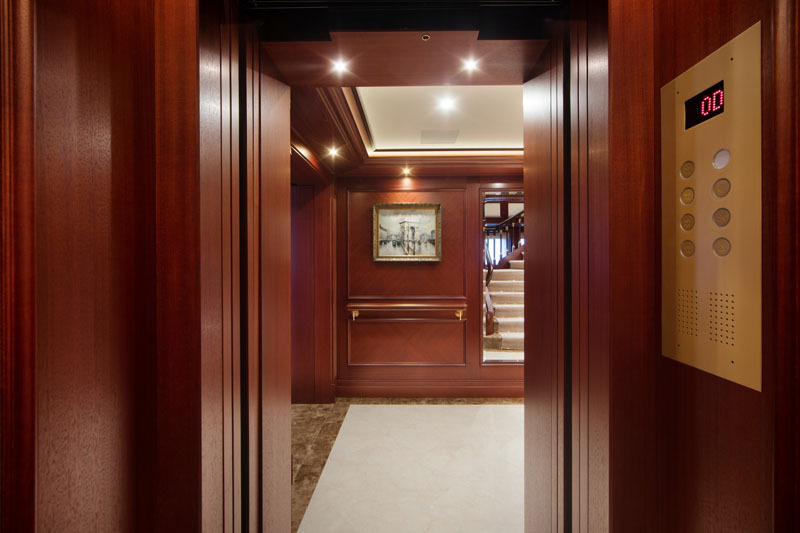 The cinema area also has an adjustable games table for four to six players, a large bar and almost full beam double glass doors that lead to the upper aft deck suited with a custom teak table for 16 guests. 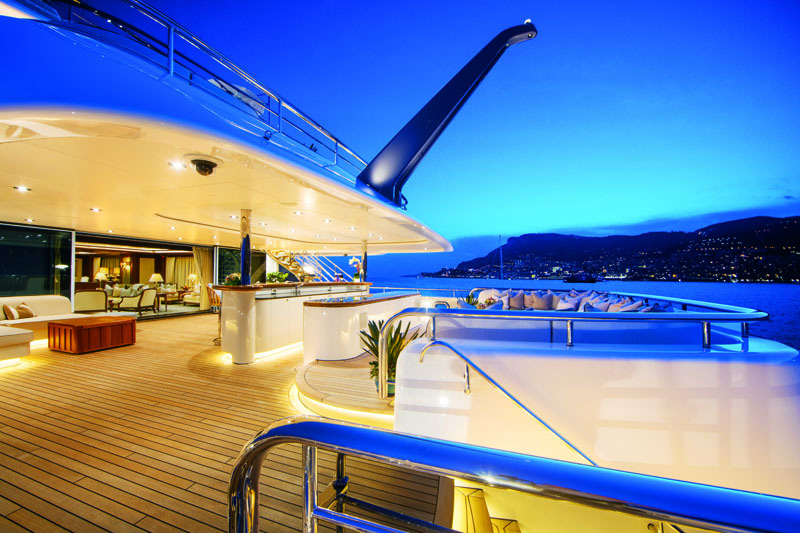 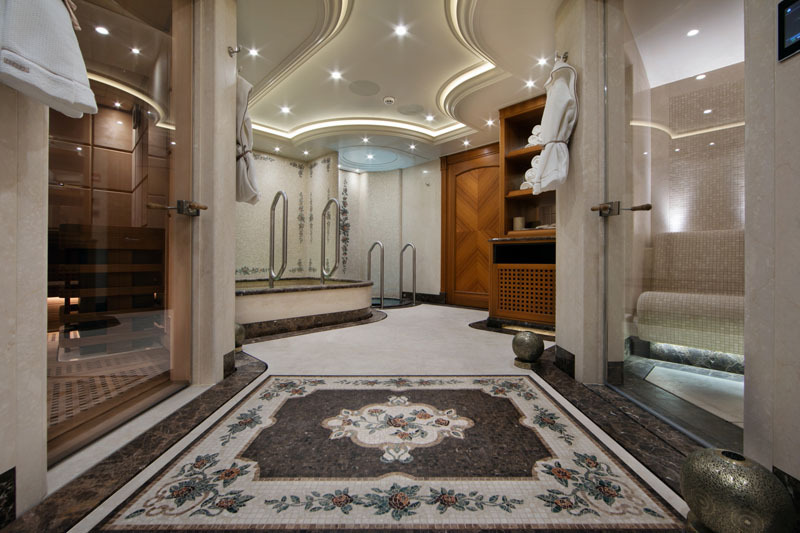 Aft on the lower deck, the spa alone allows guests to feel as though they are staying in a five-star hotel. 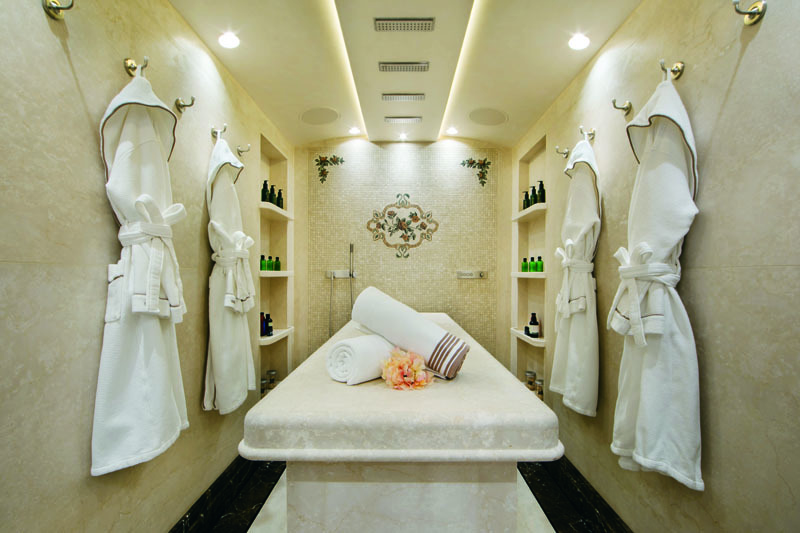 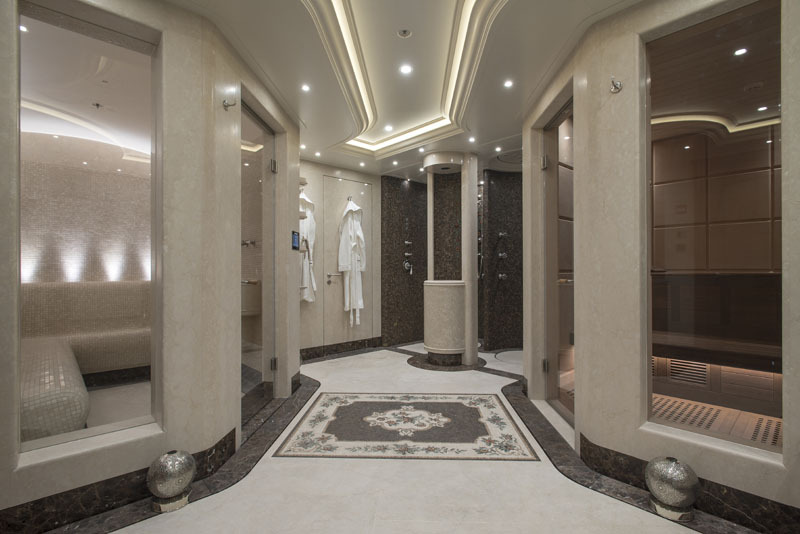 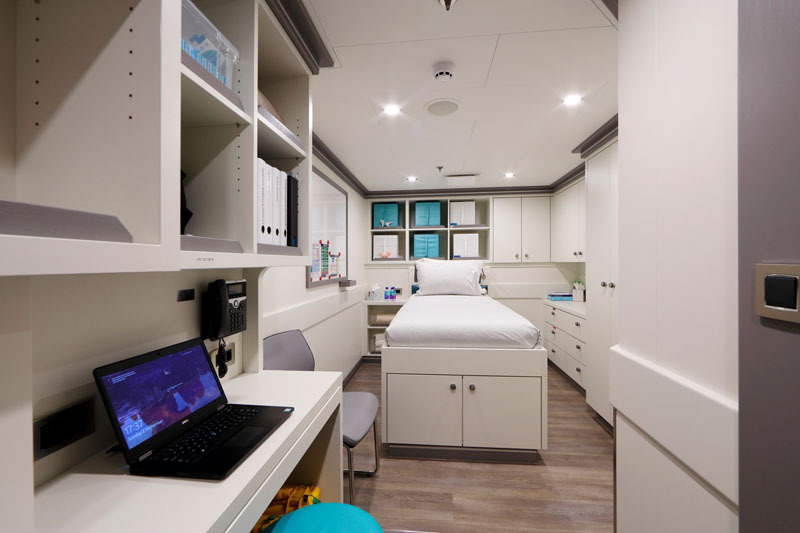 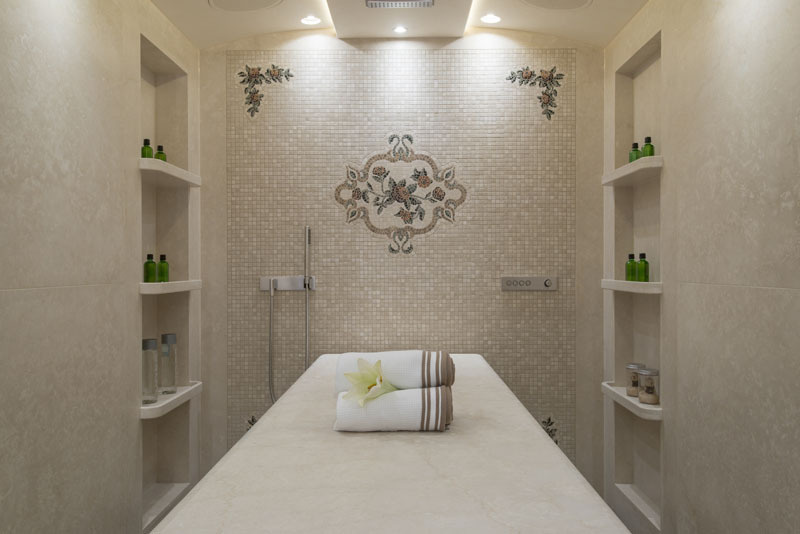 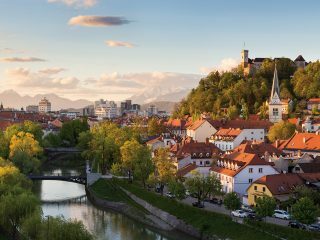 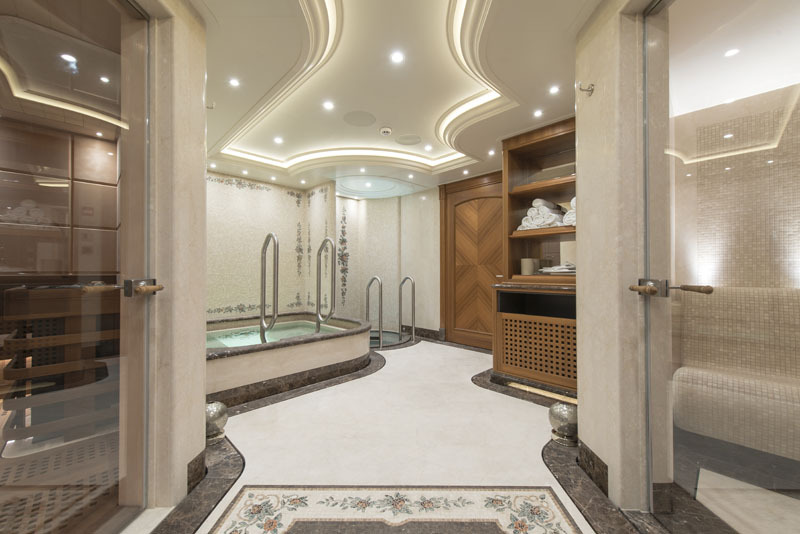 It includes a treatment room with a hairdressing area, a special massage room with heated marble massage table, Vichy shower, steam room, sauna, full-depth plunge pool and hot tub. 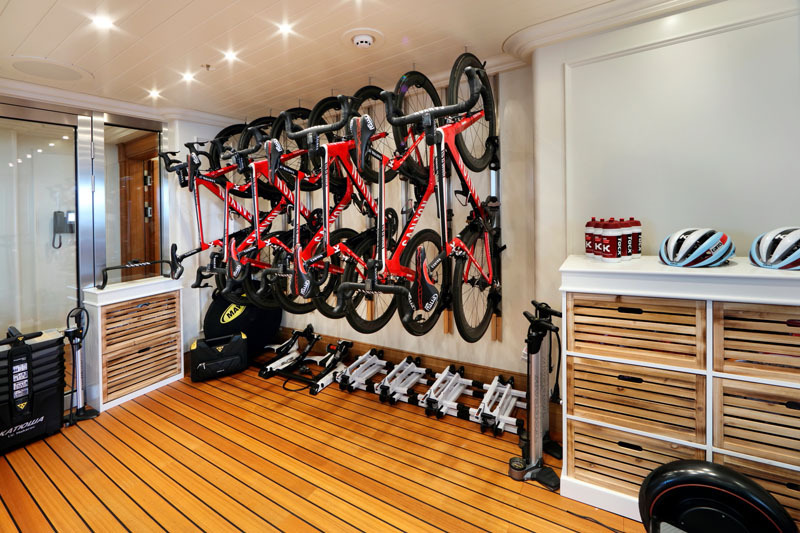 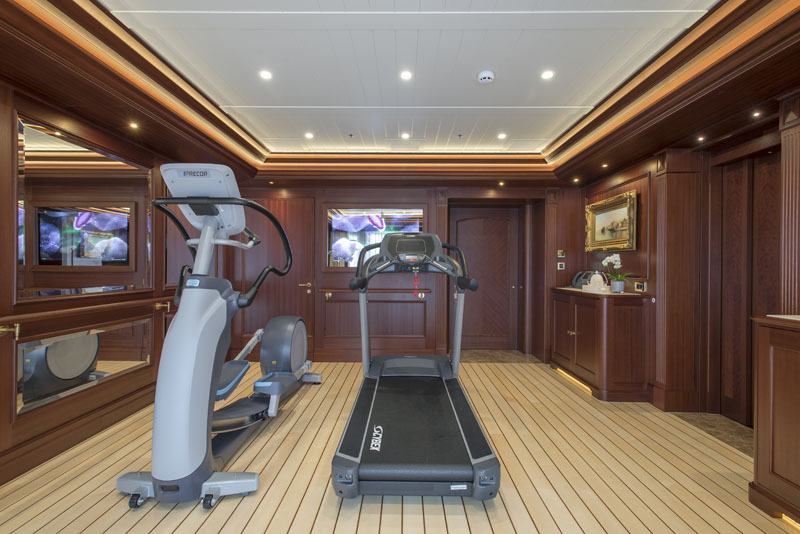 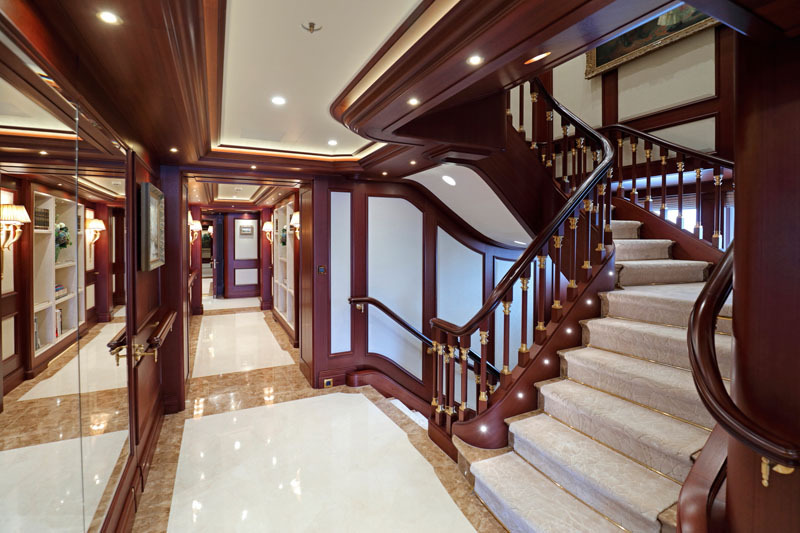 On the bridge deck, a larger Jacuzzi fits 12, just outside the state-of-the-art gym. 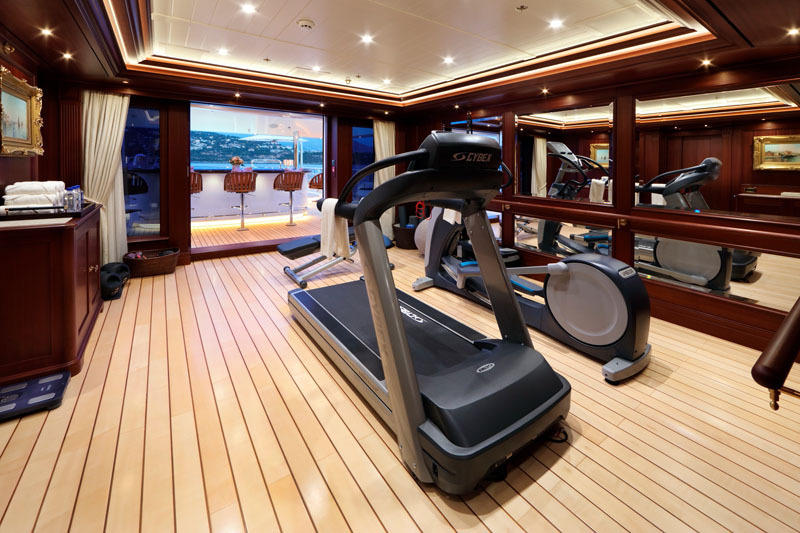 The gym is made up of a treadmill, elliptical cross trainers, wellness balls and bespoke yoga equipment. 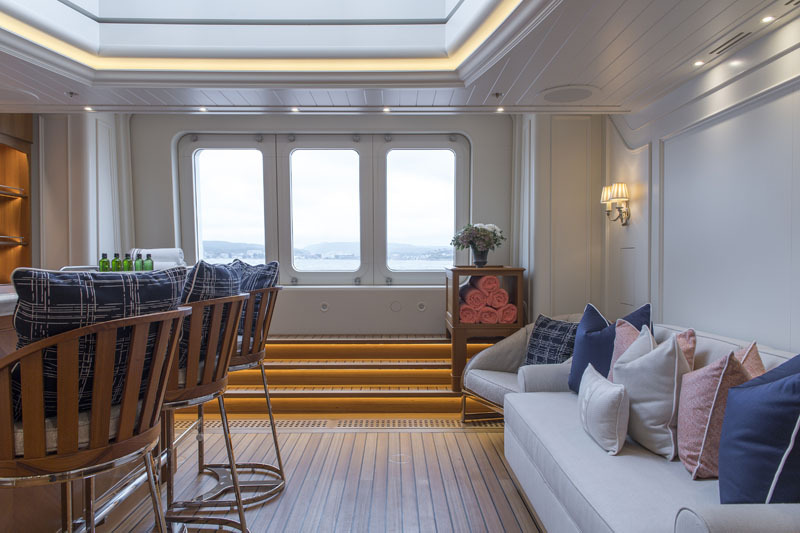 London-based Winch Design is behind the vessel’s beach chic-themed interior design. 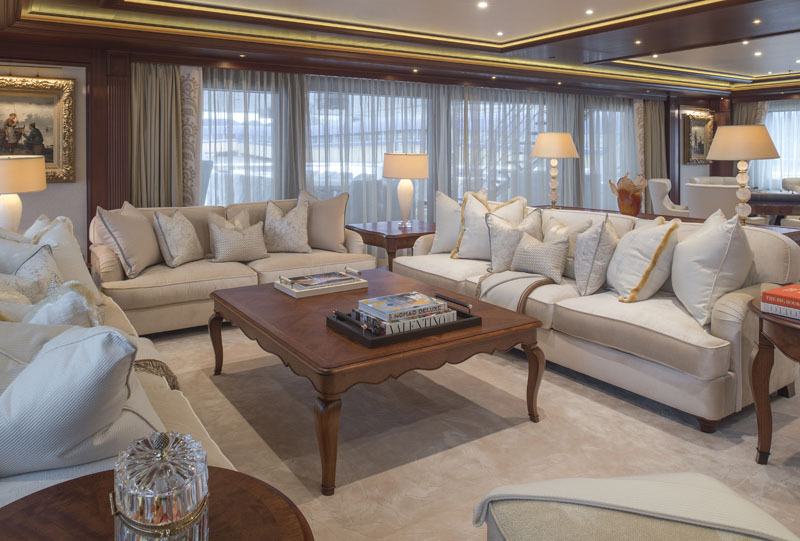 The lavish woodwork, neutral fabrics and sweeping exterior lines helped set this tone with a modern feel. 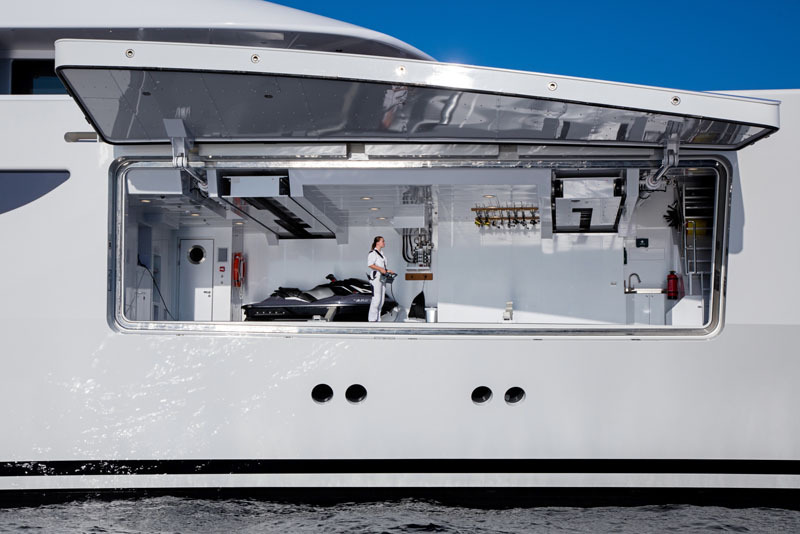 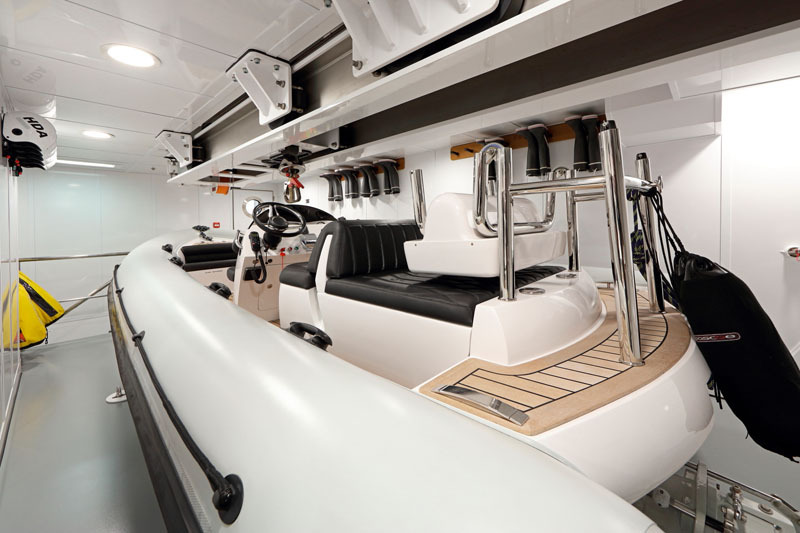 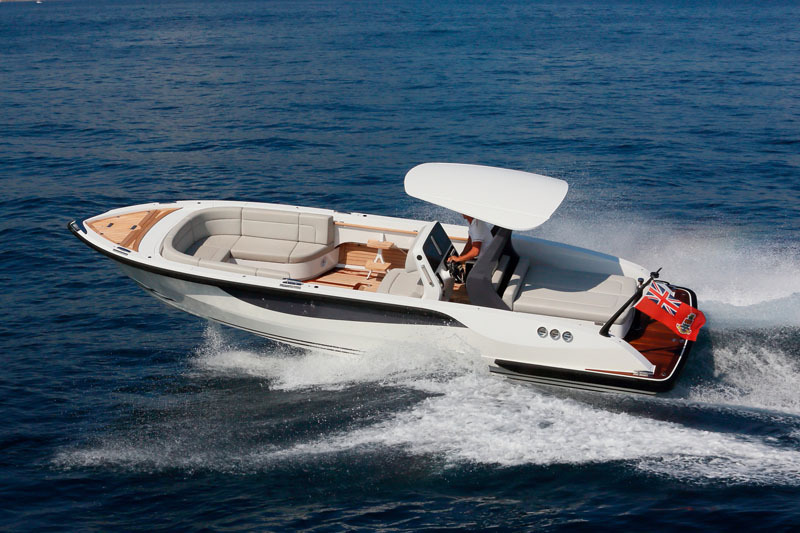 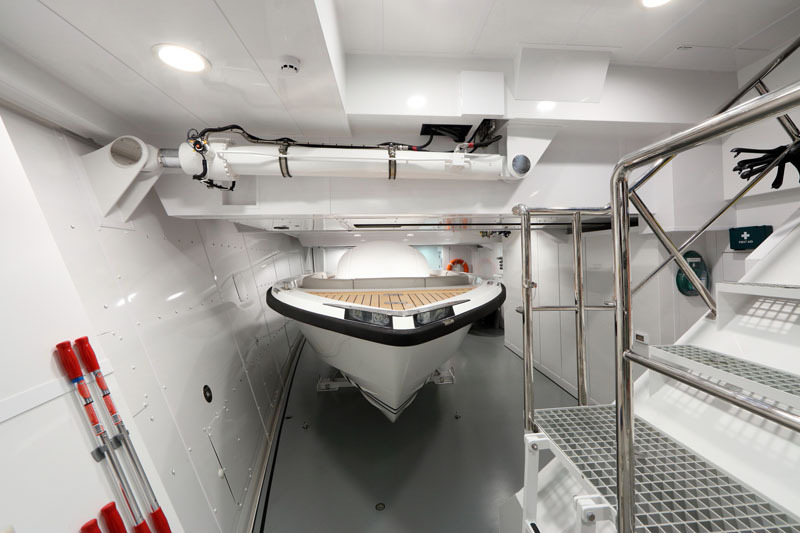 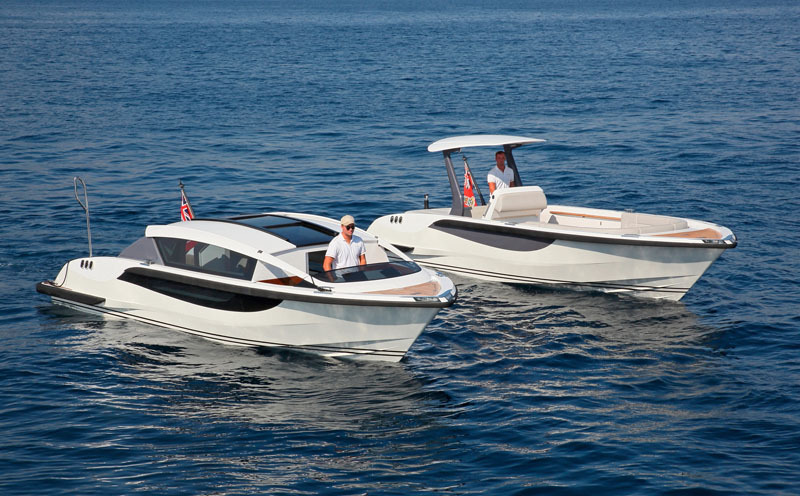 The hull is cream-colored; the body sports a white superstructure and gray accents. 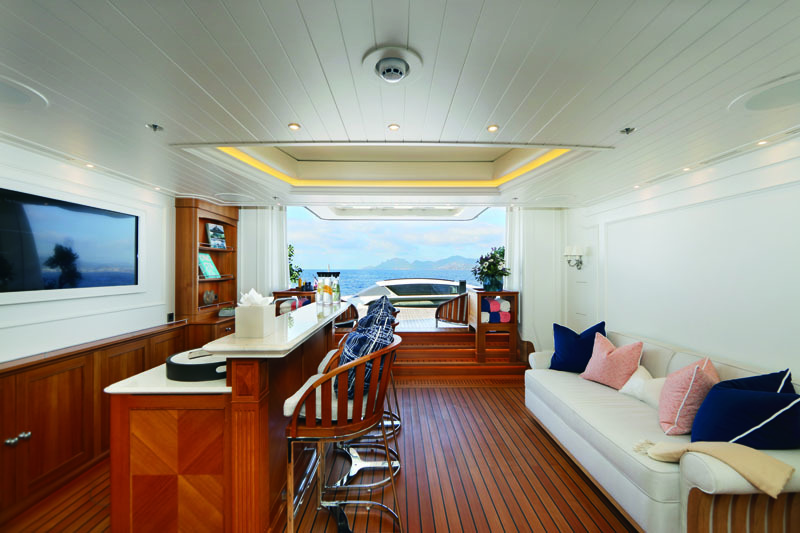 Woods featured throughout include teak decks and a combination of straight and molded Makore wood. 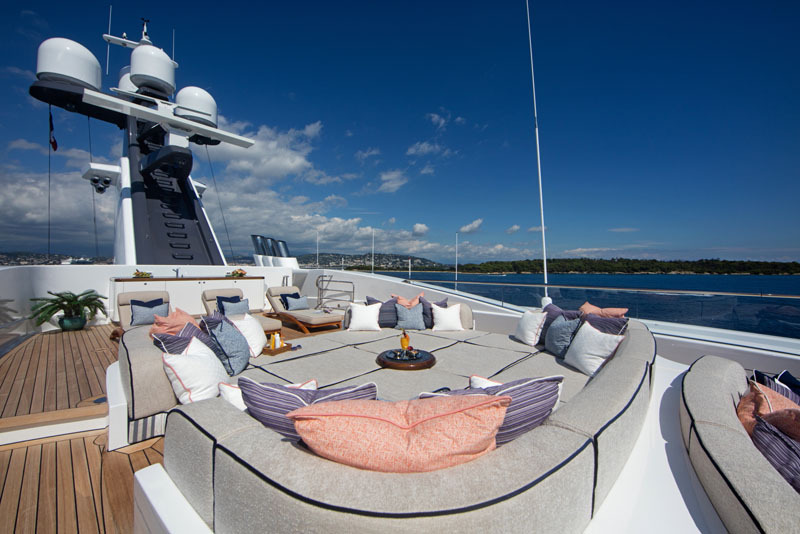 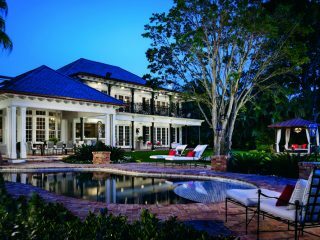 The design is completed with soft, hand-embroidered fabrics, neutral-colored sofas, oversized chaise lounges, hand-stitched leather bridge instruments and a granite dashboard.